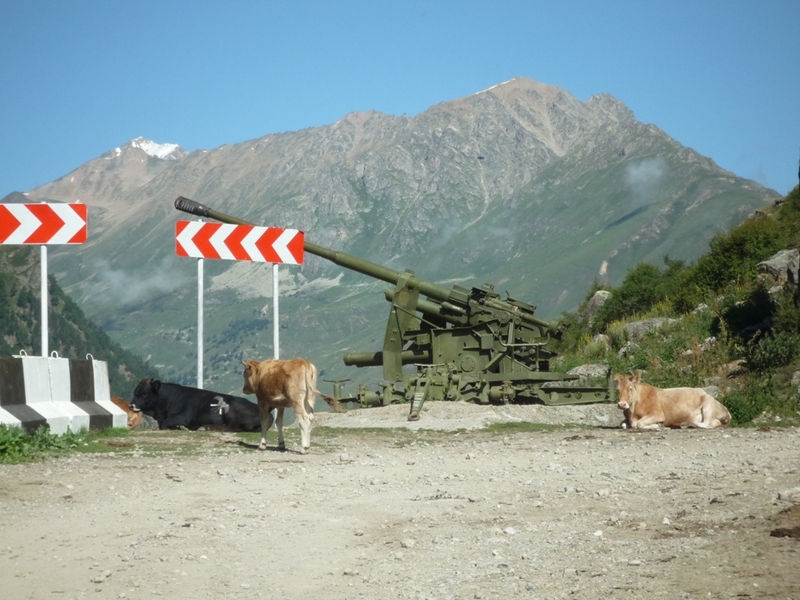 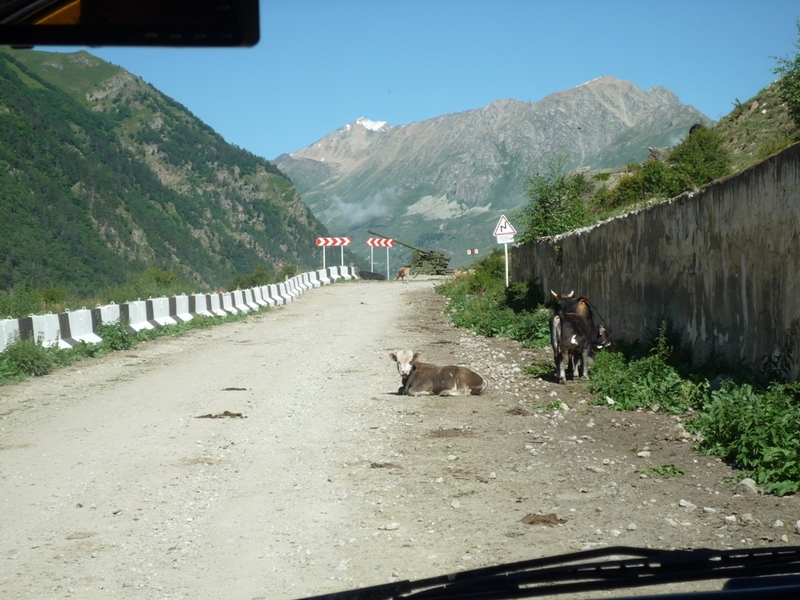 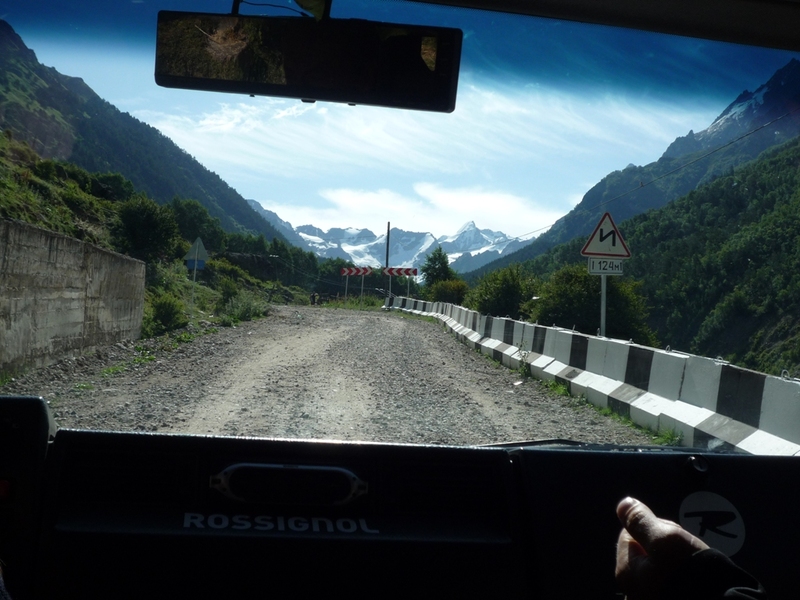 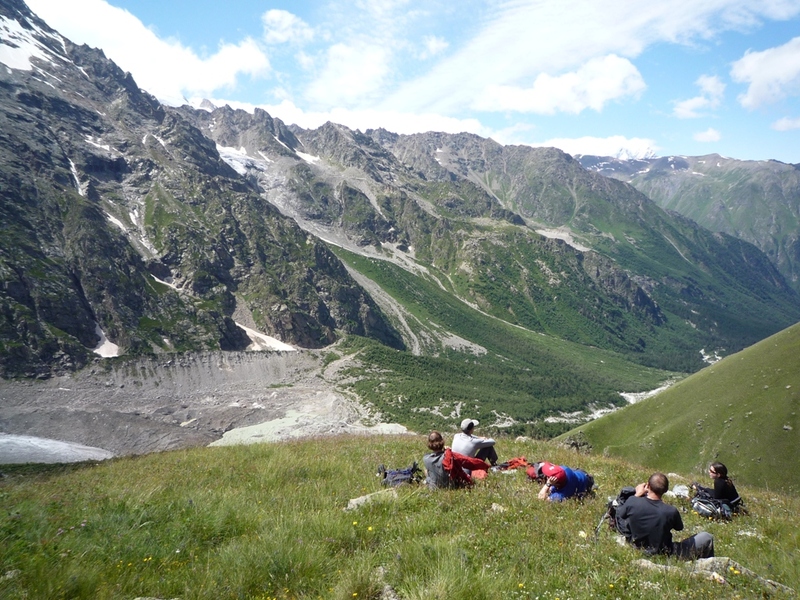 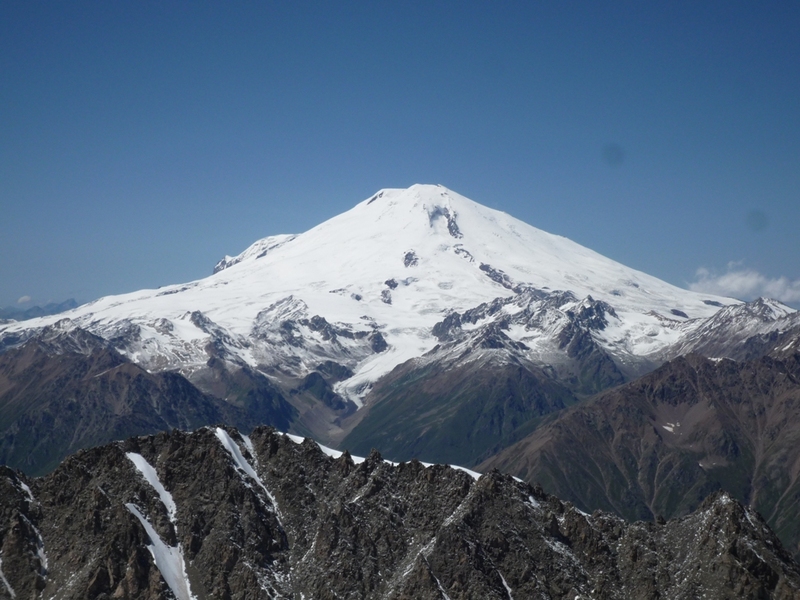 Somewhat higher up then the village Elbrus, just 120 kilometers from city Nalchik the landscape of the Baksan Gorge sharply changes. 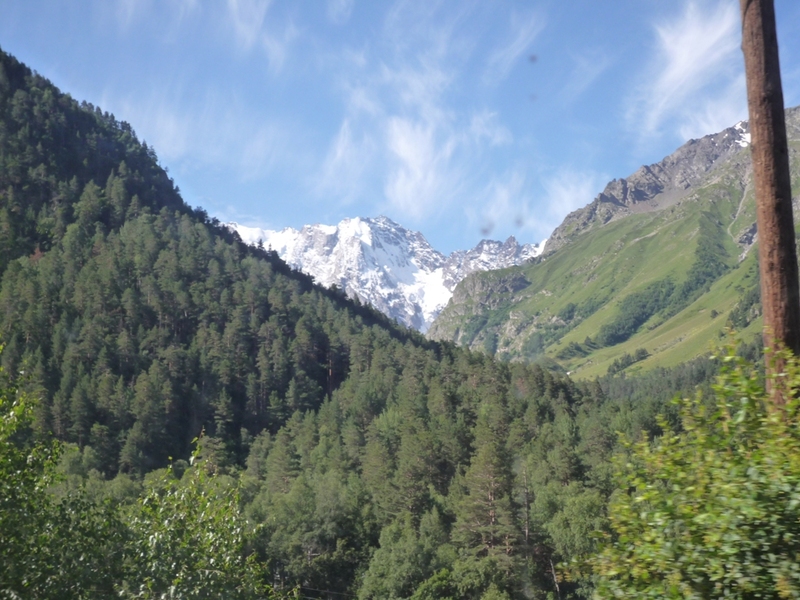 Pines, birches and willows cluster round the road and the mouths of the rivers which empty into the Baksan. 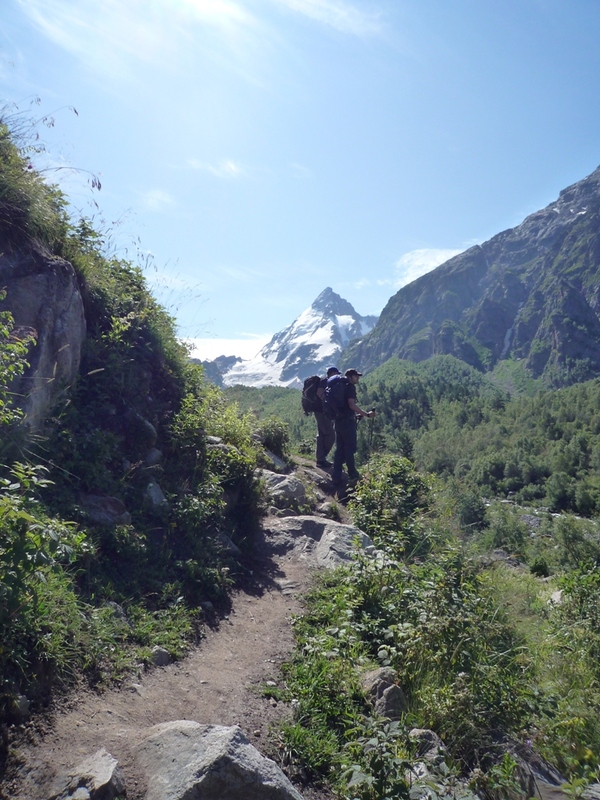 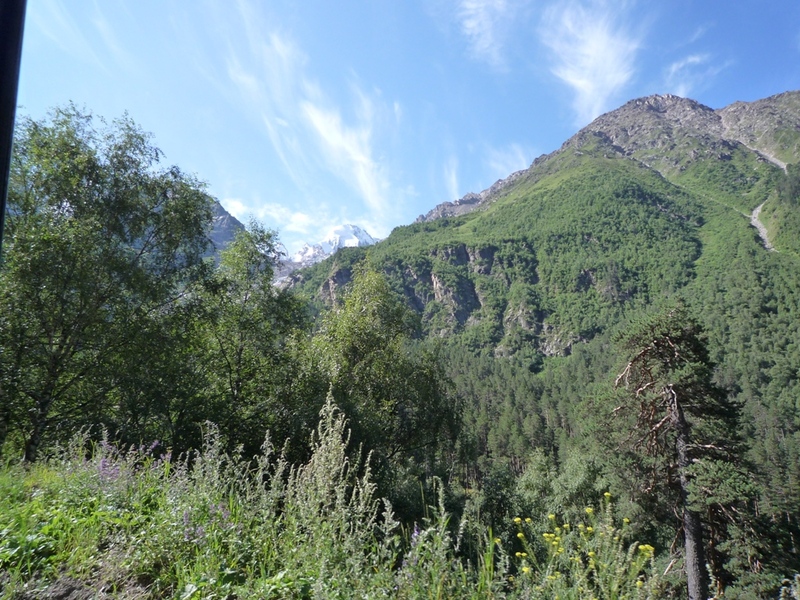 Everywhere there is thick undergrowth and lush grass, thickets of raspberries and barberries, and higher up plenty of rhododendrons on the slopes. 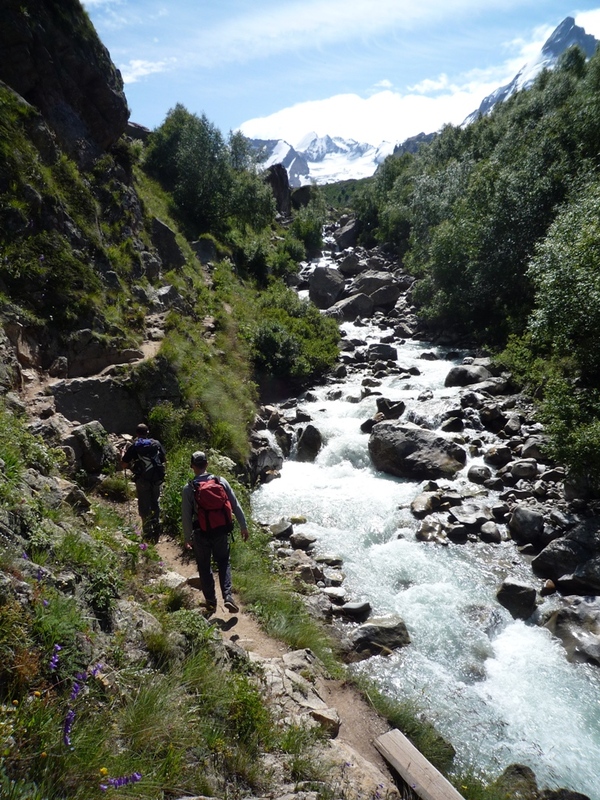 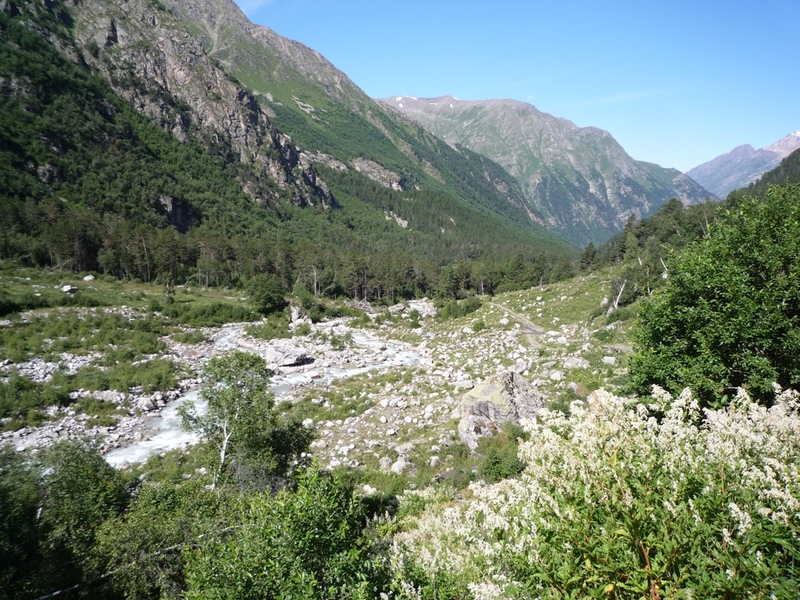 Beyond the village Elbrus the Baksan is reinforced by a right-hand tributary of some size, the river Adyl-Su. 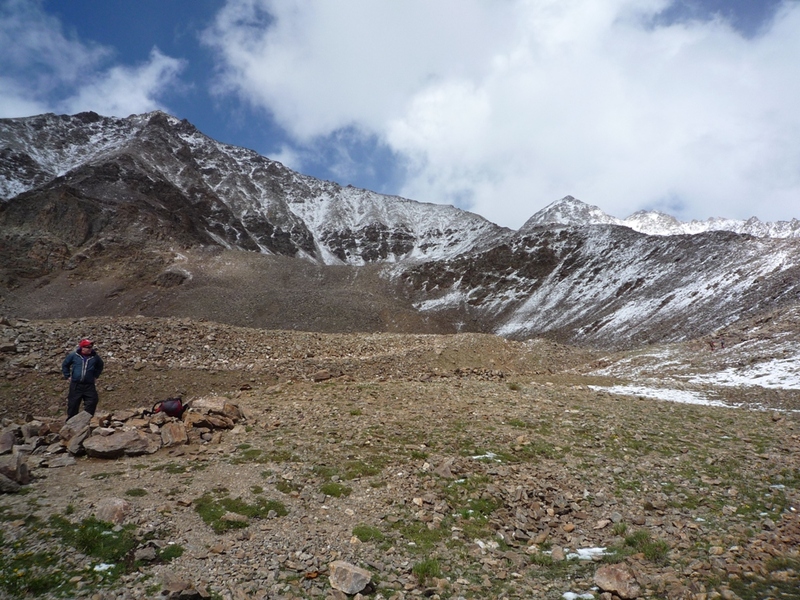 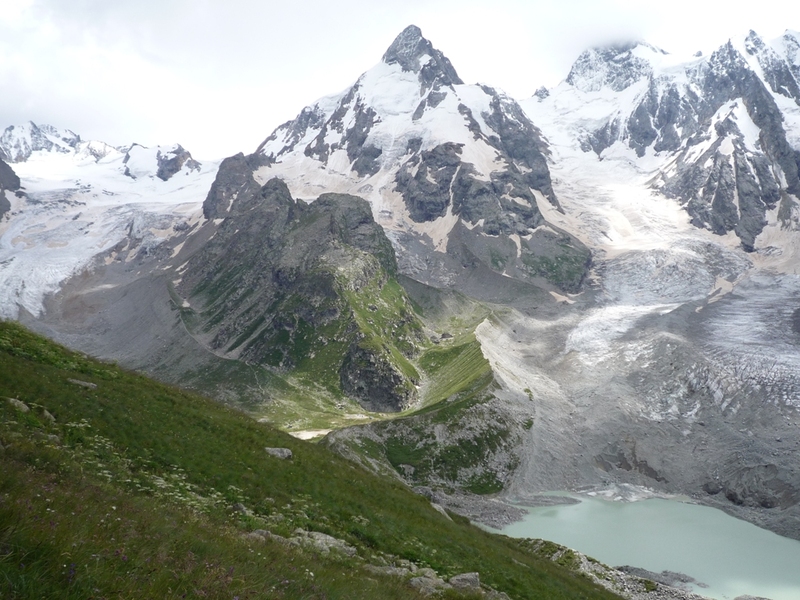 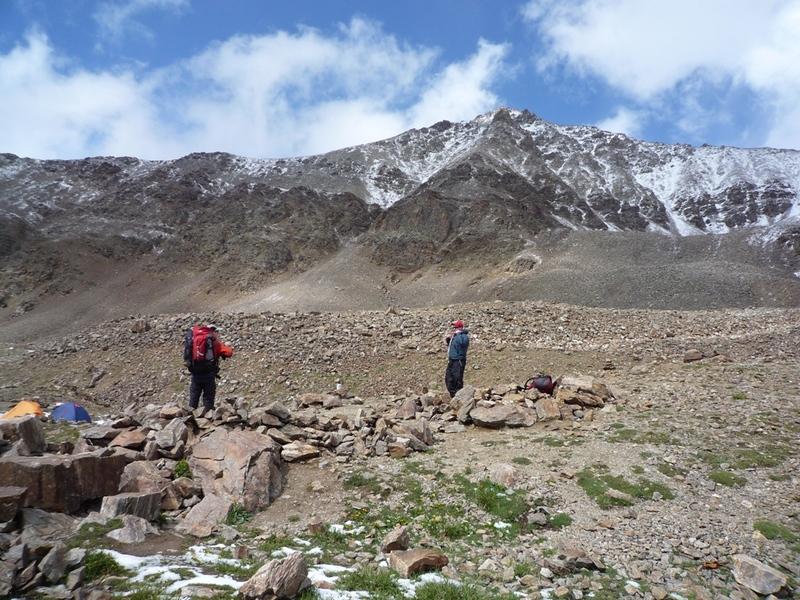 A little further the Adyl-su has received the short but impetuous river Shkhelda with its source in the Shkhelda glacier. 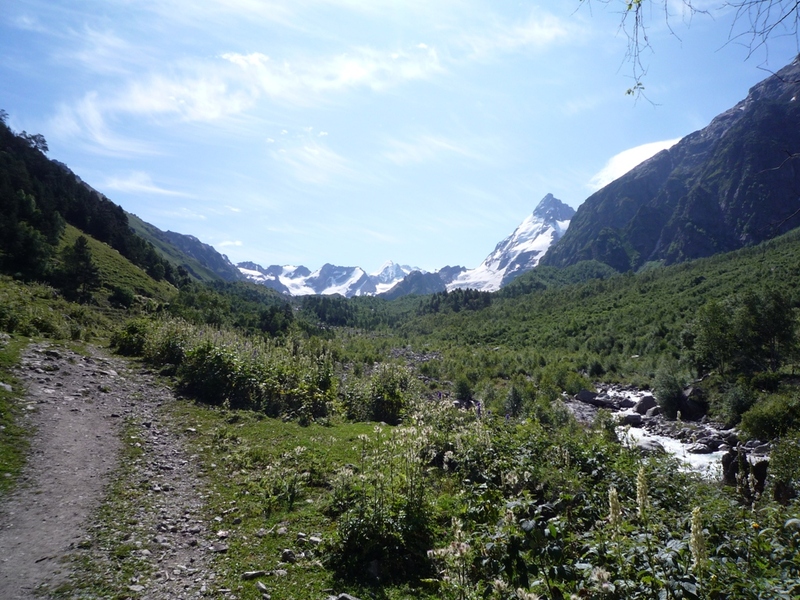 The Adyl-su and Shkhelda Gorges are well known to climbers beyond the boundaries of our country. 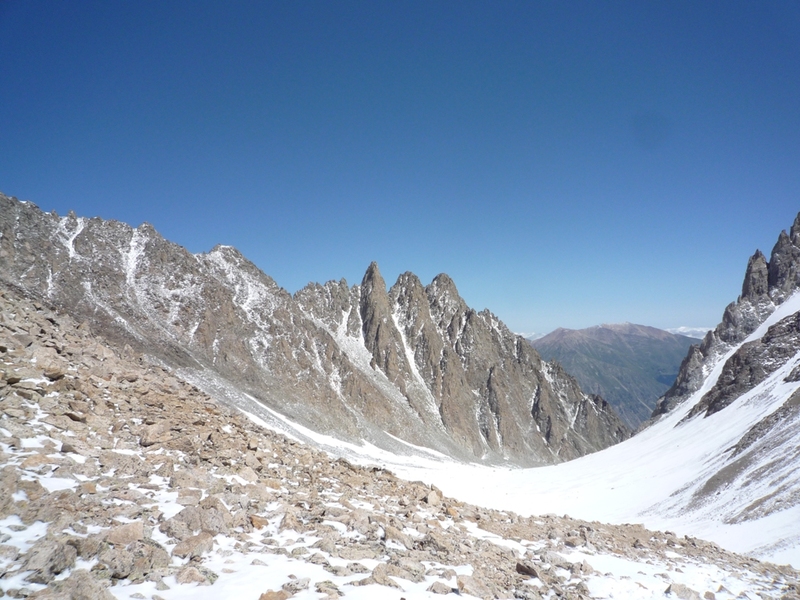 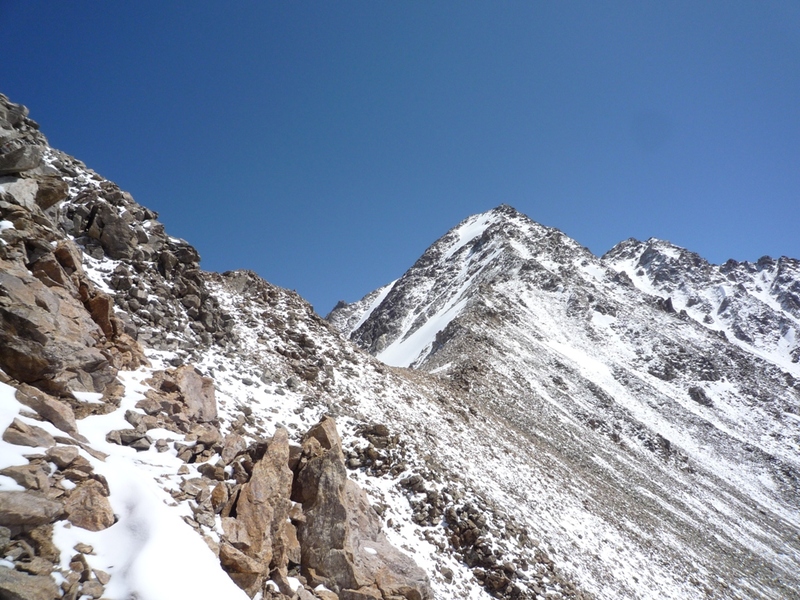 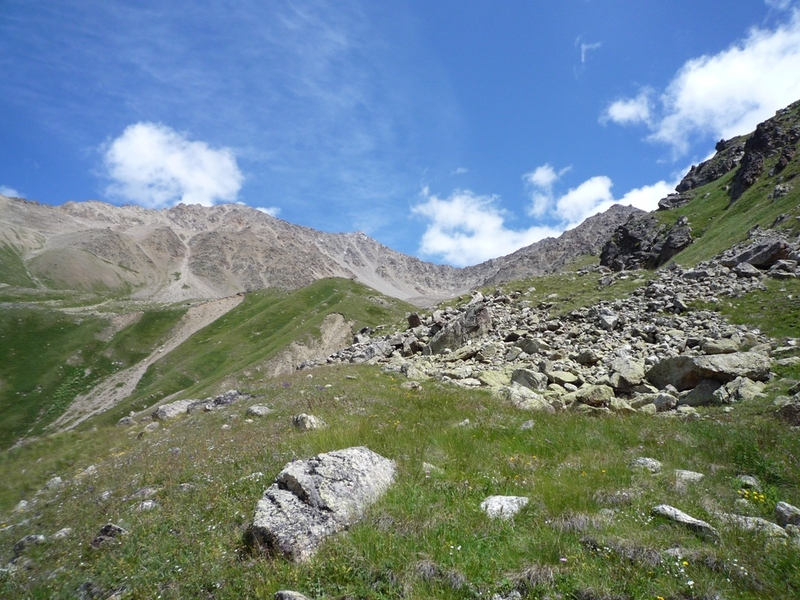 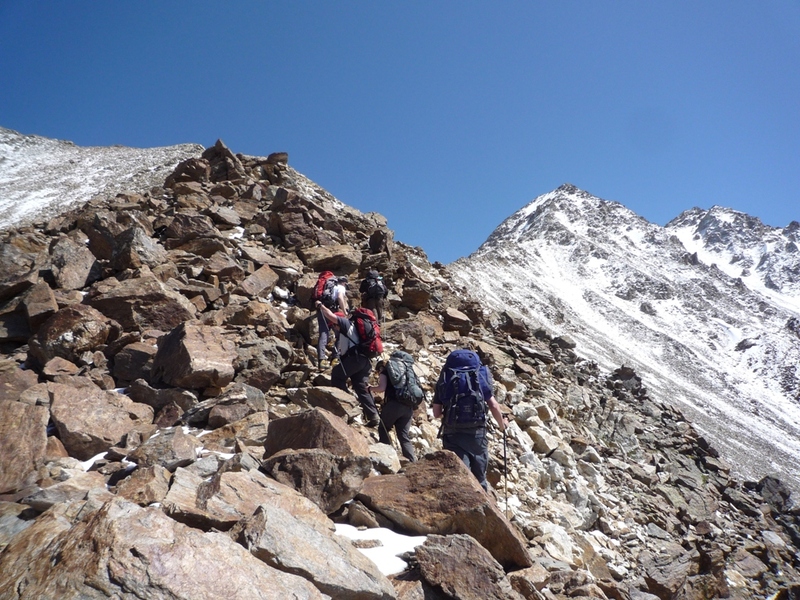 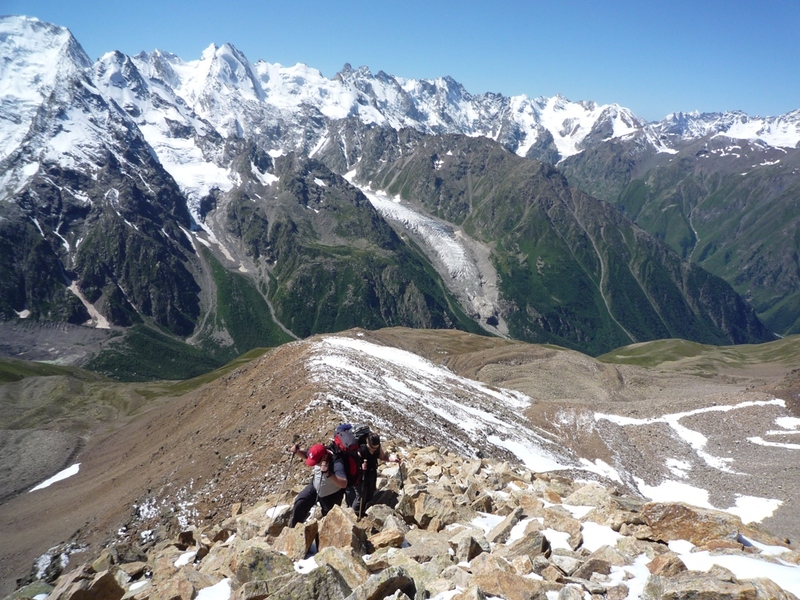 Along this gorges lie the routs to the more difficult ascents:Shkhelda, Ushba, Shchurovsky peak, Chatyn-Tau, Free Spain, peak and Bzhedukh. 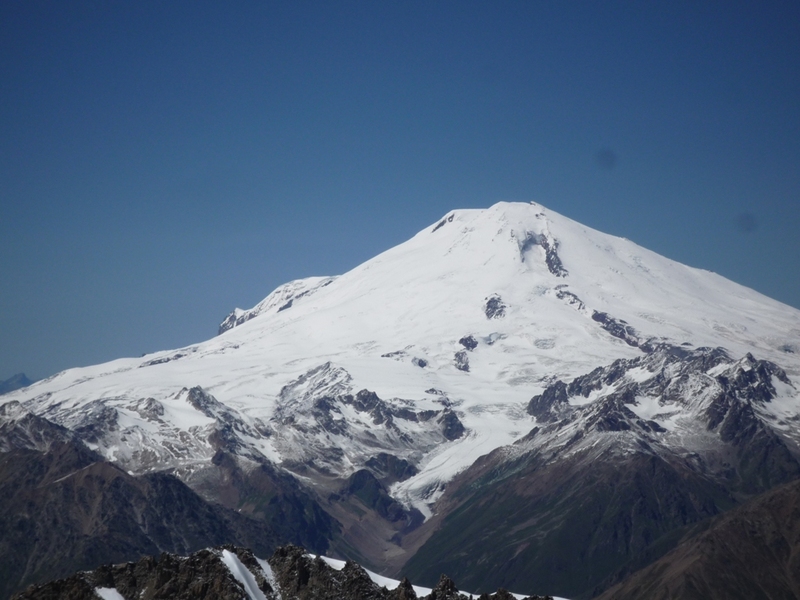 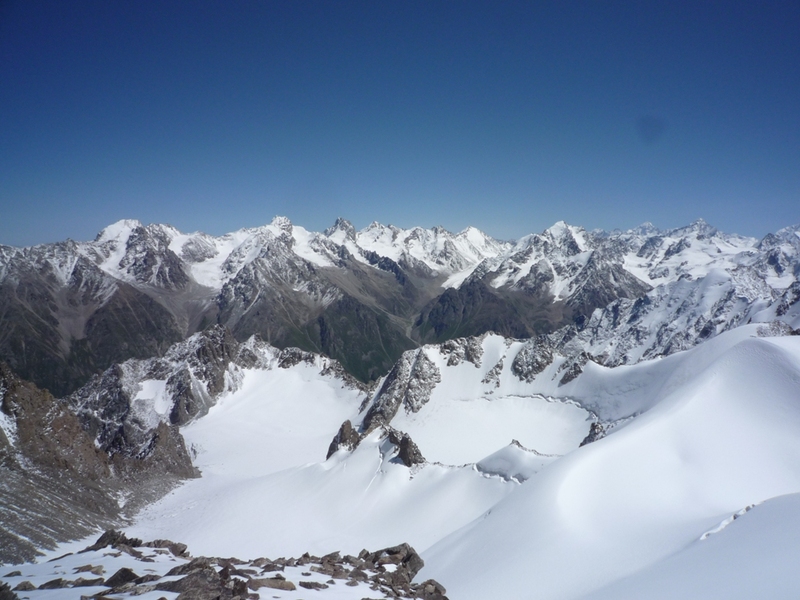 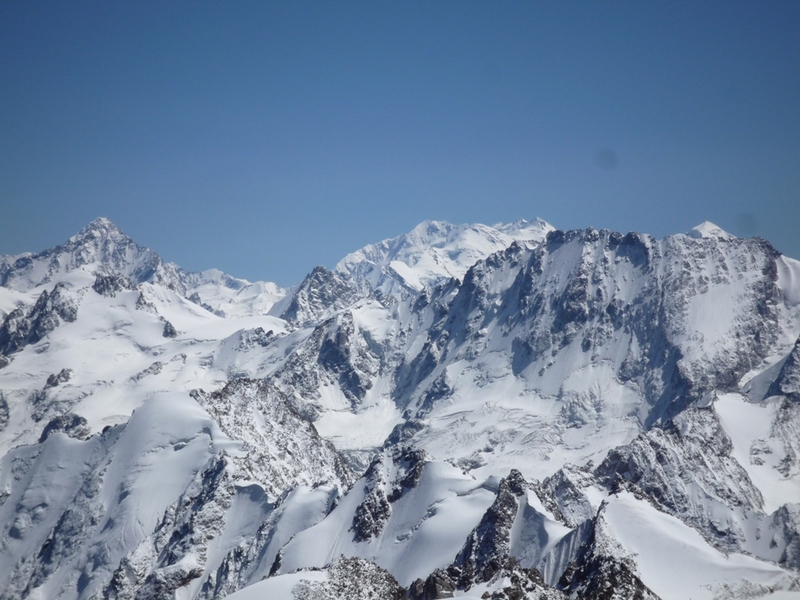 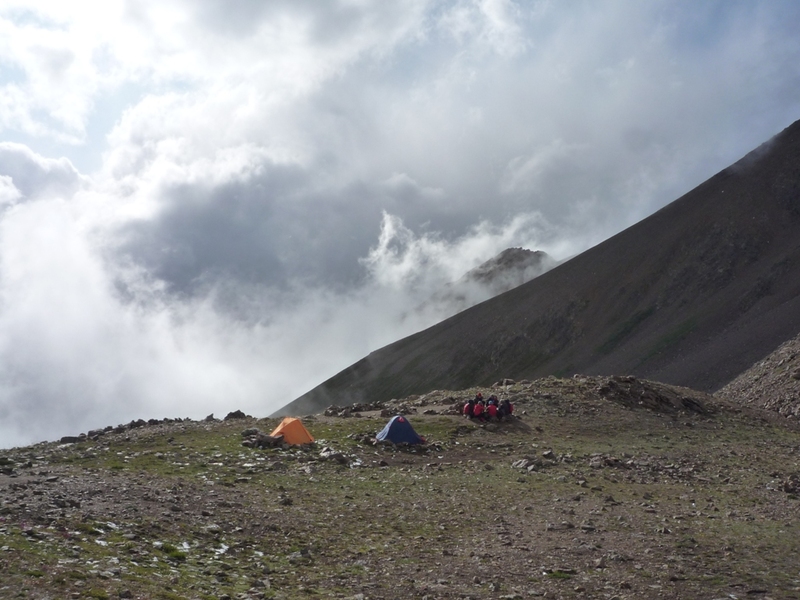 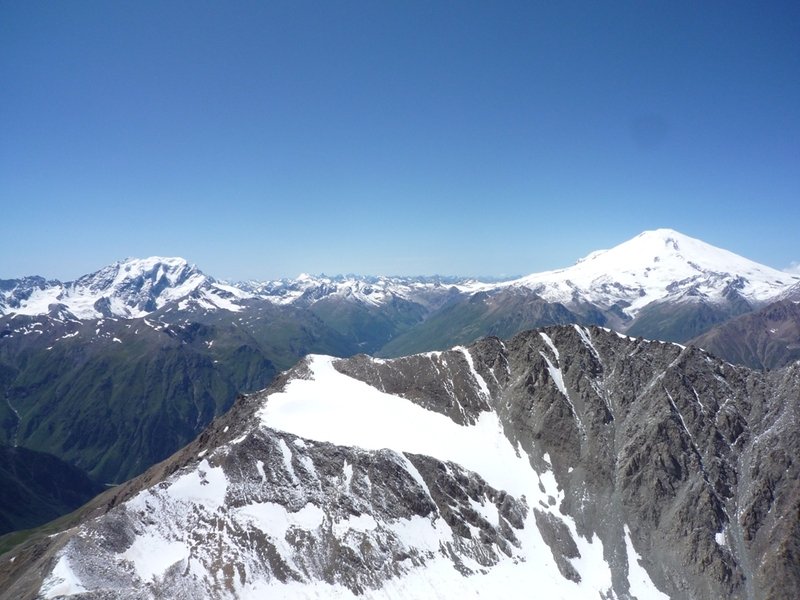 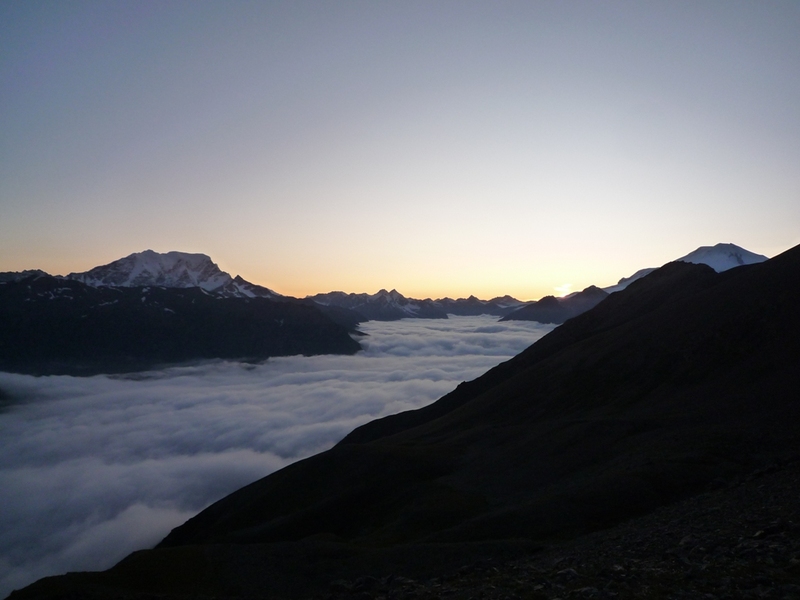 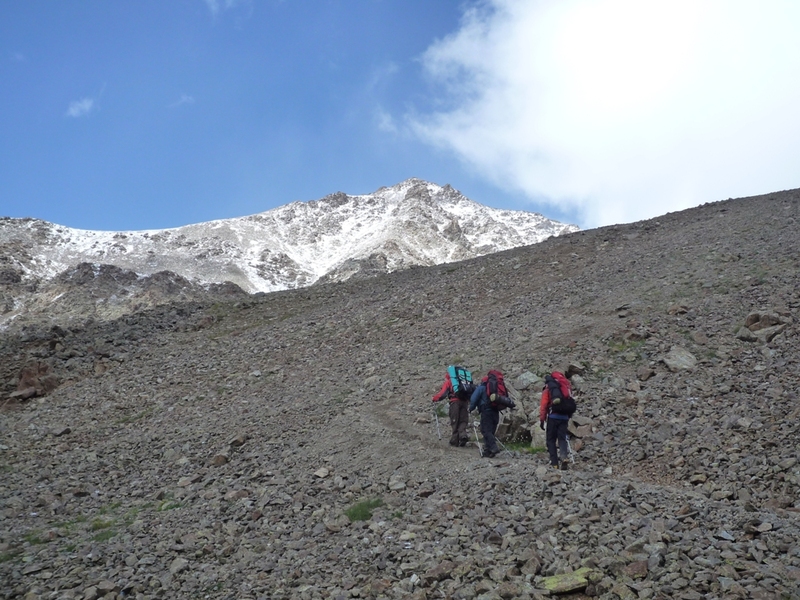 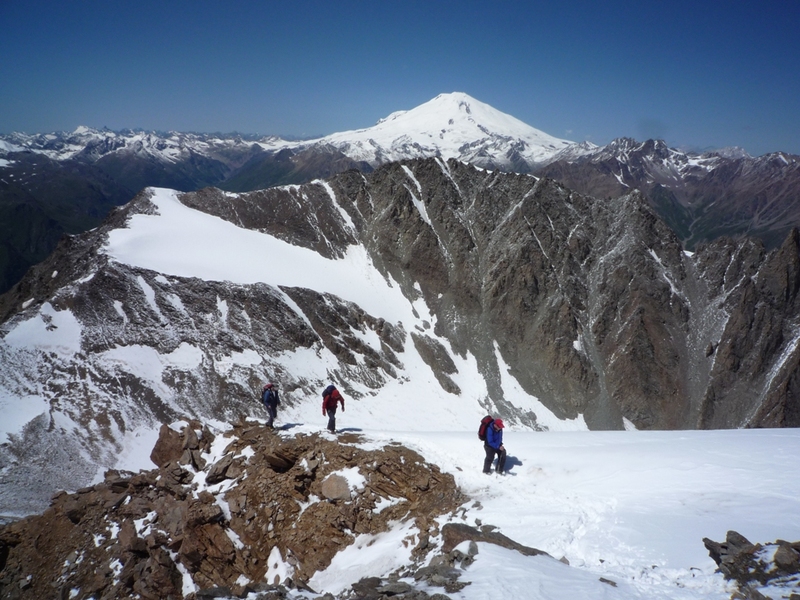 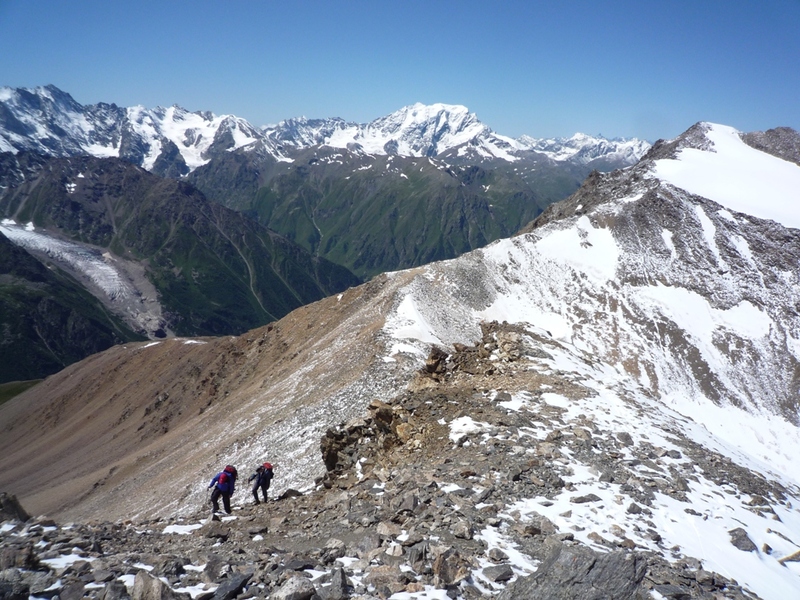 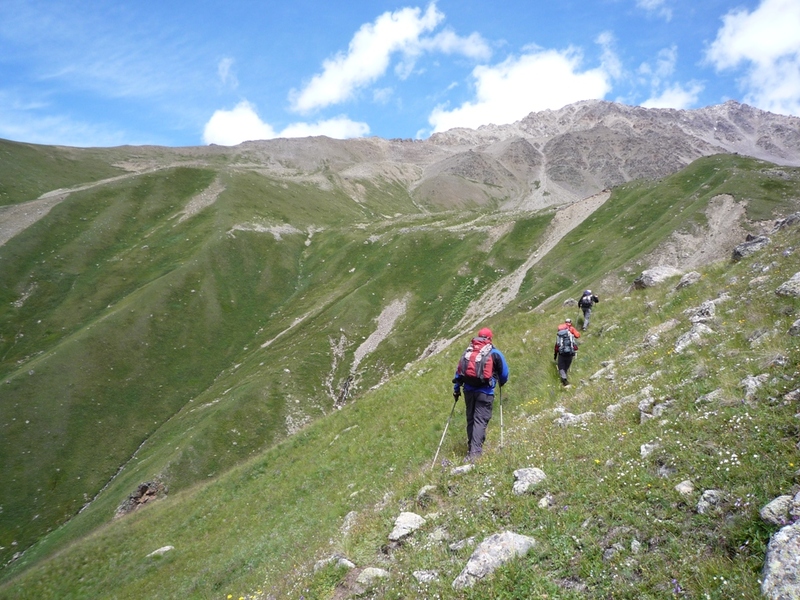 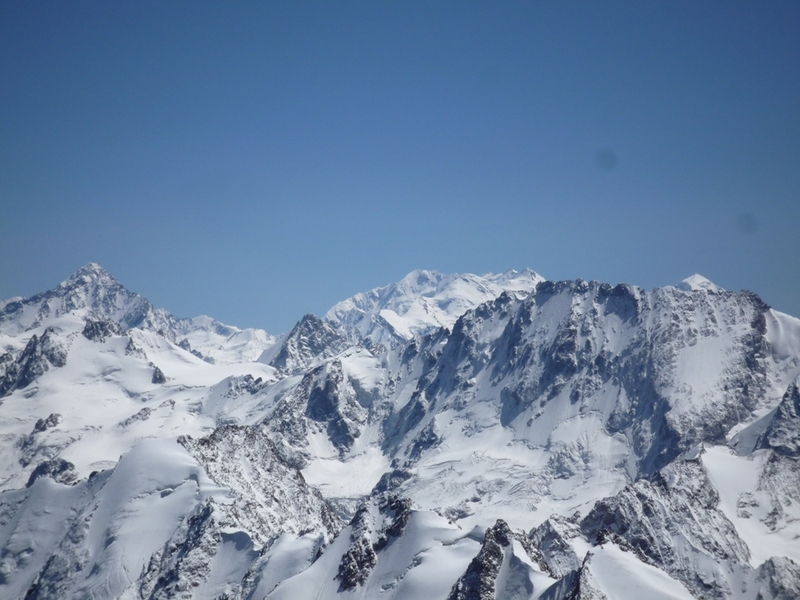 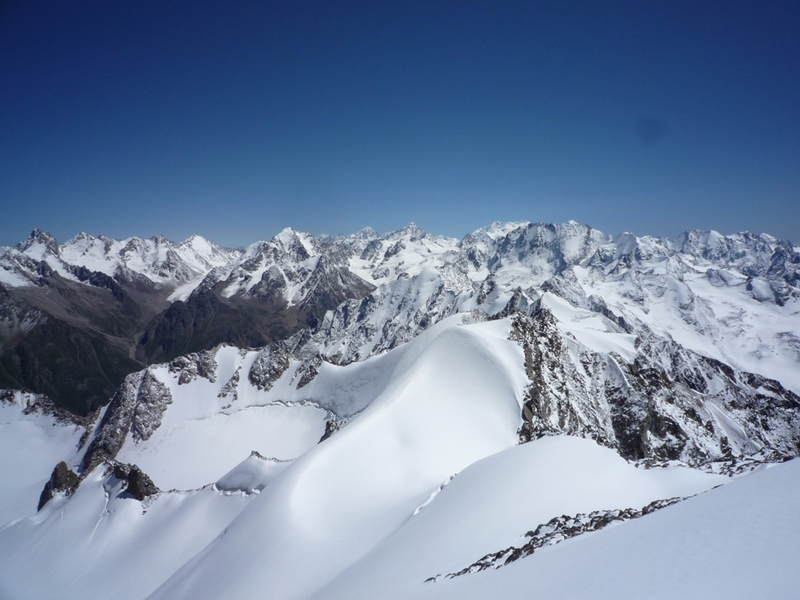 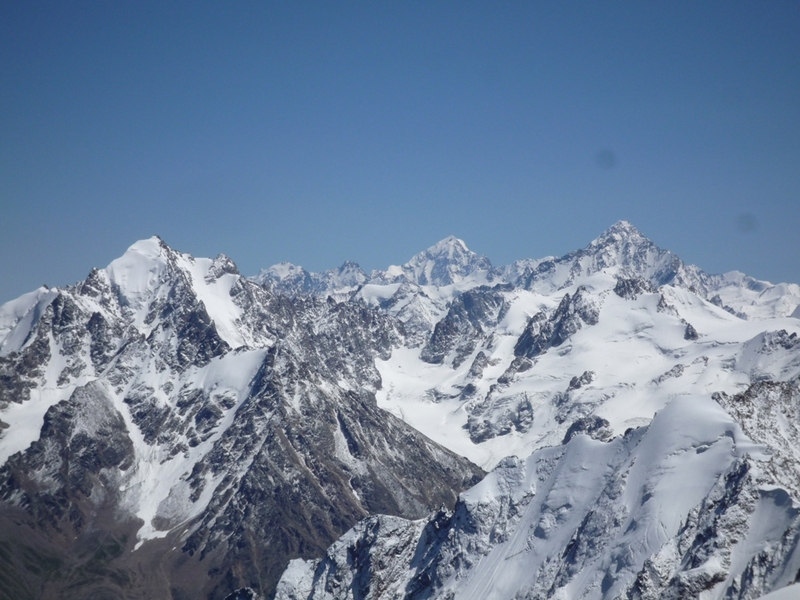 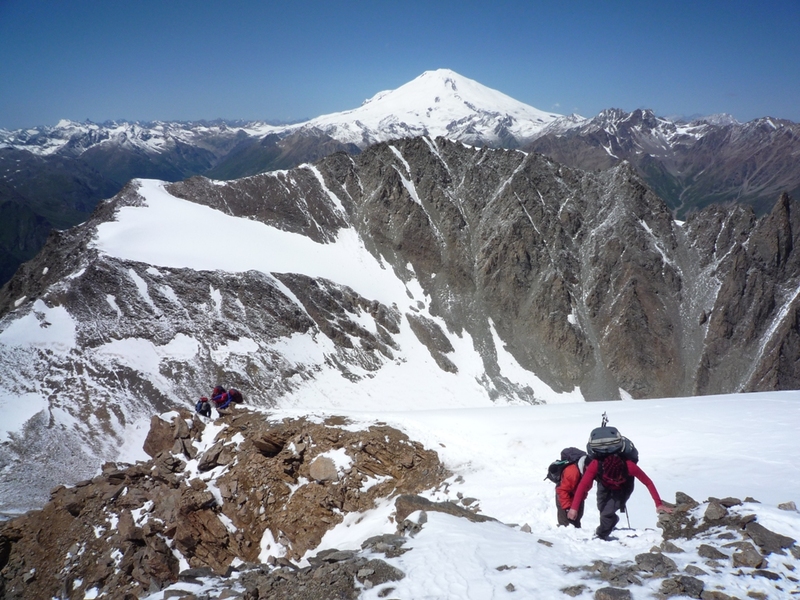 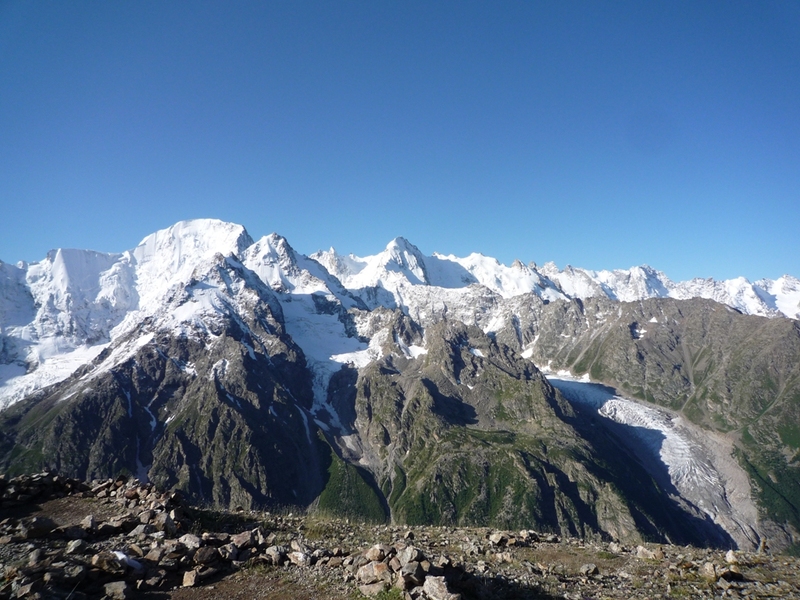 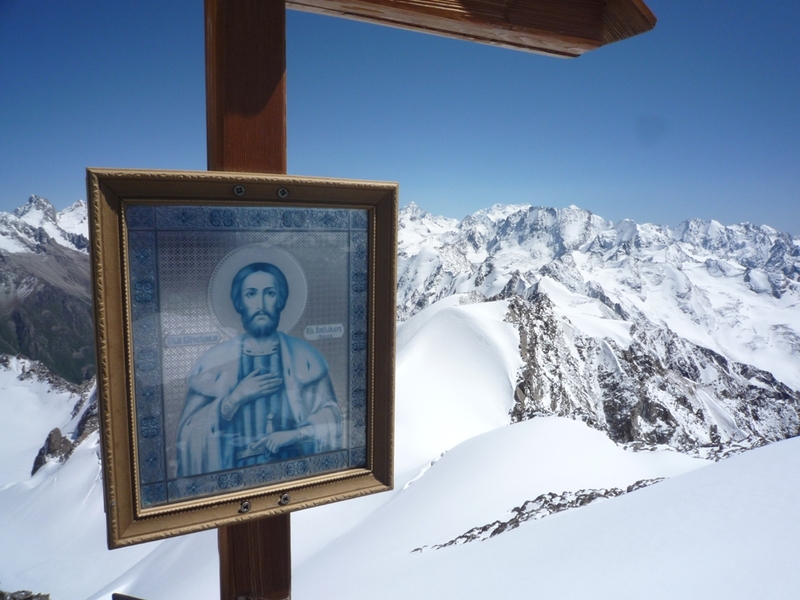 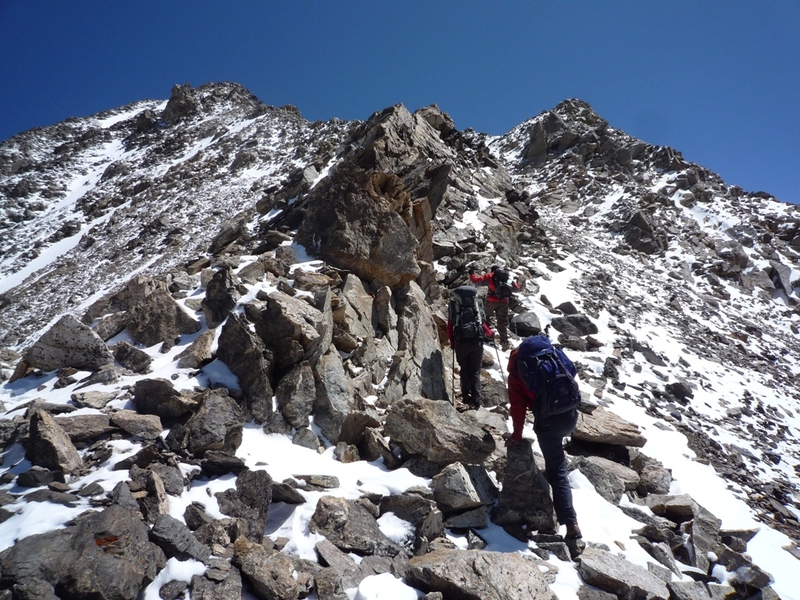 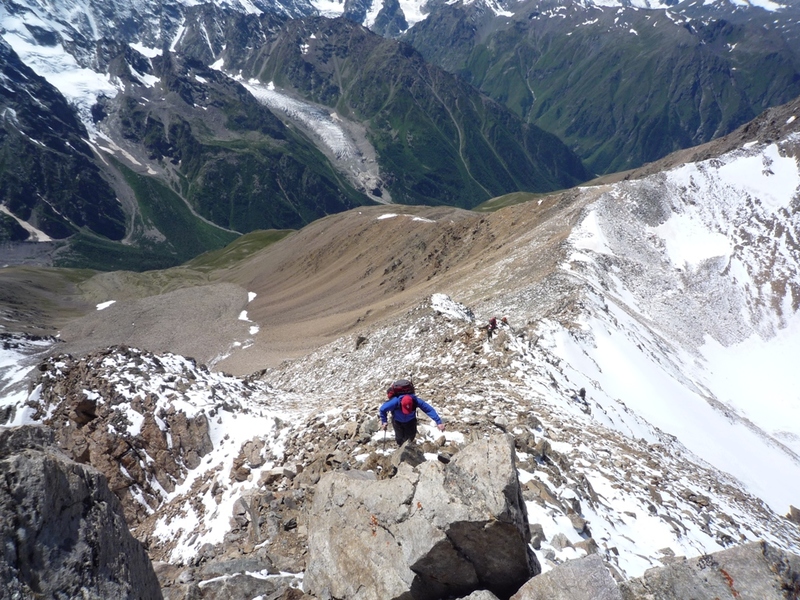 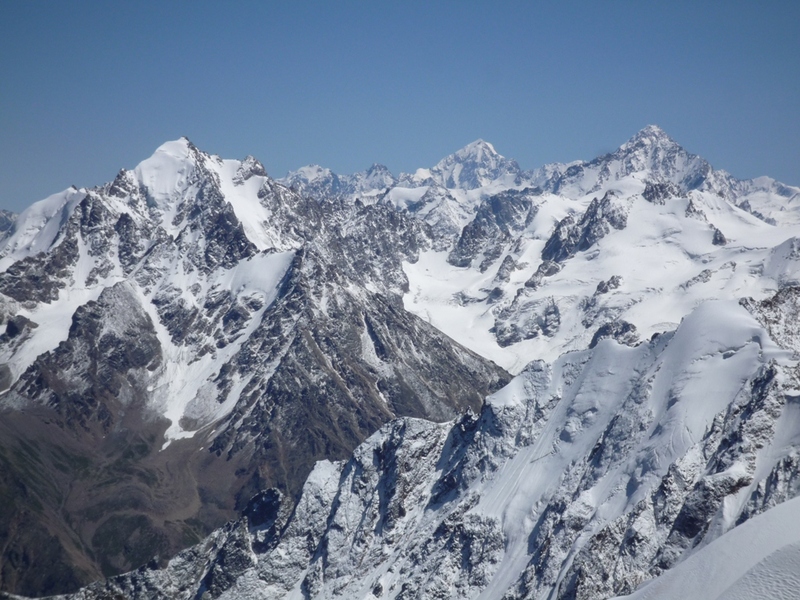 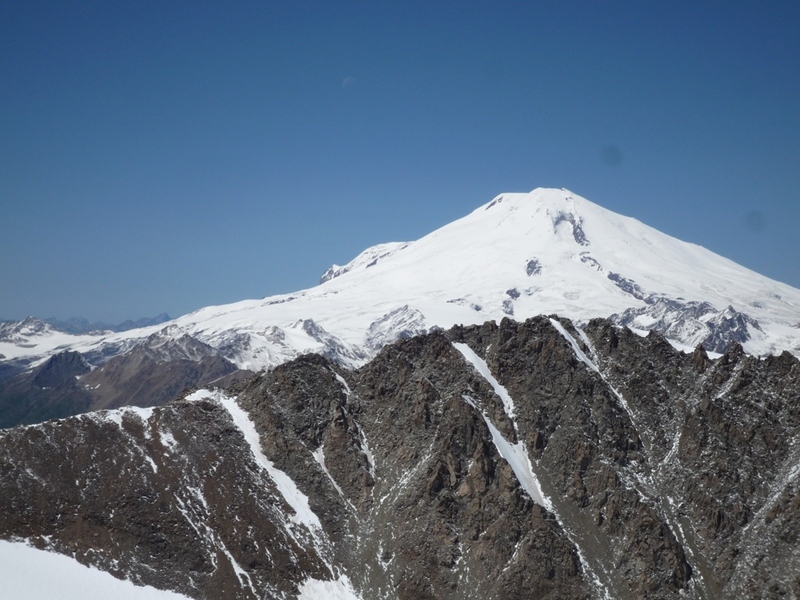 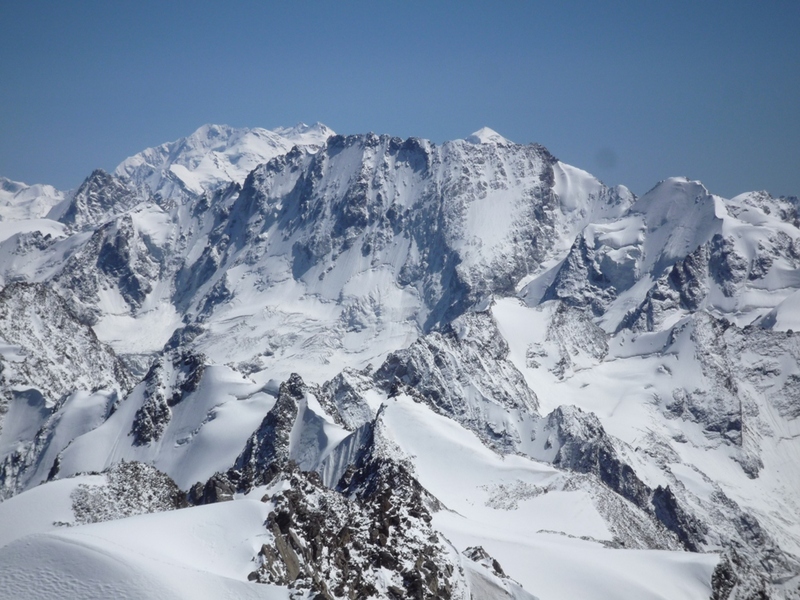 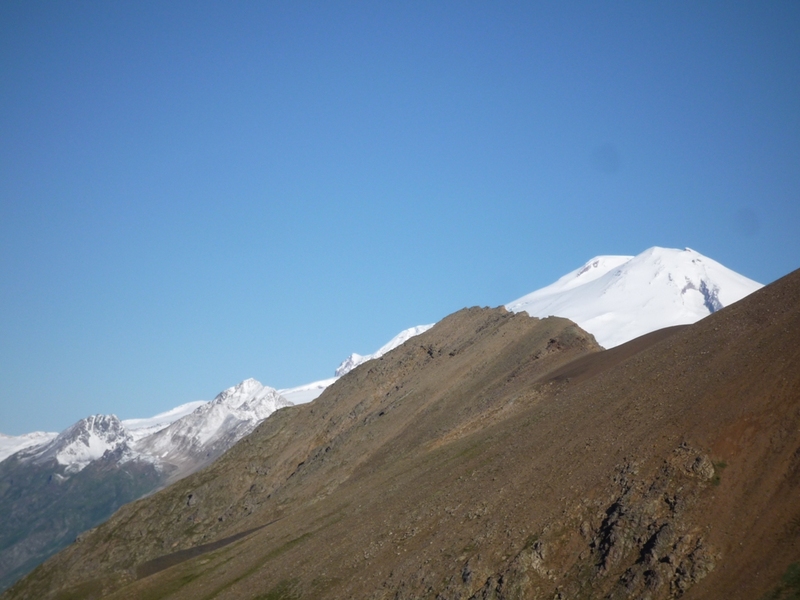 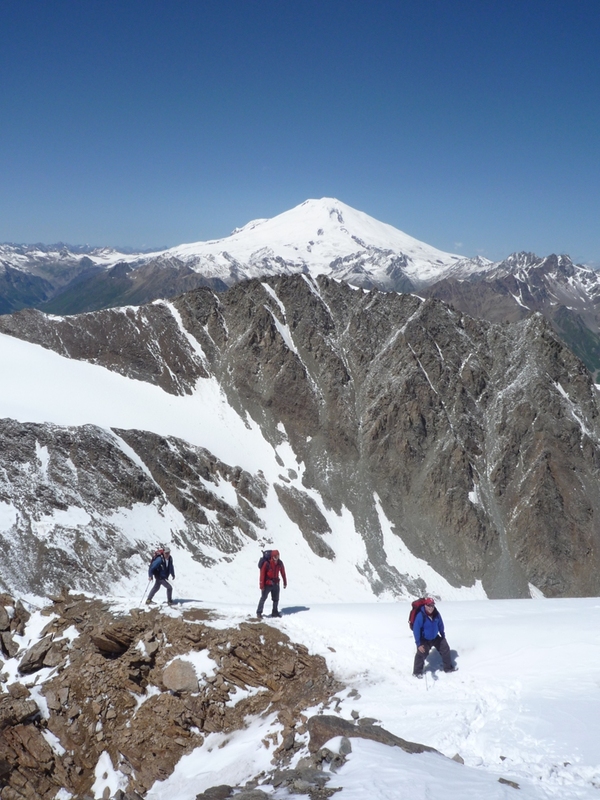 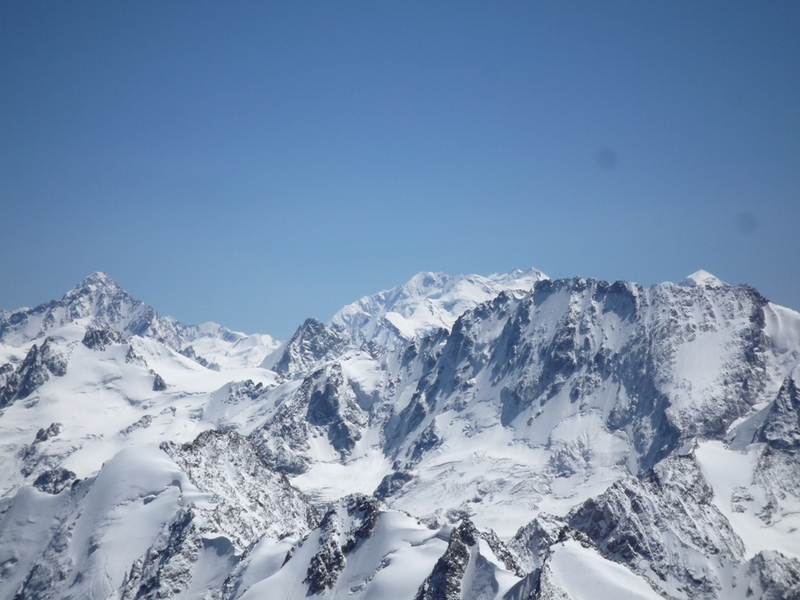 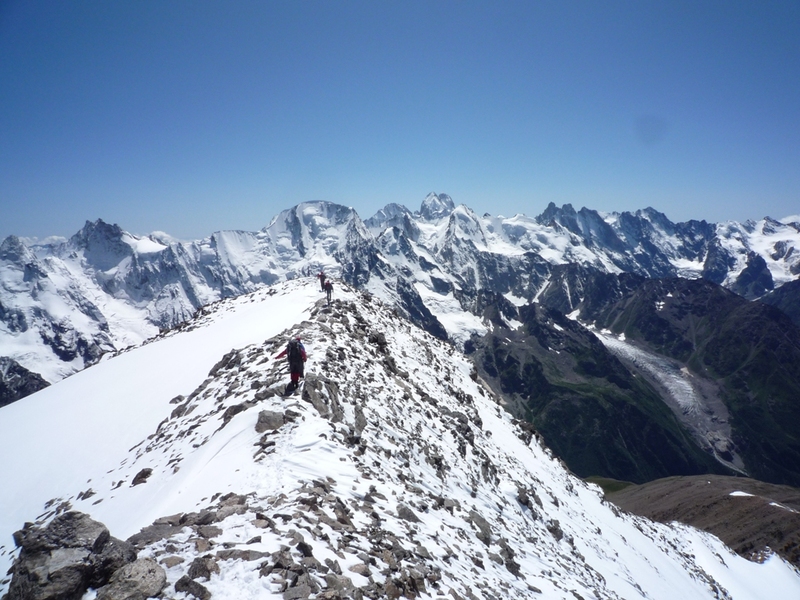 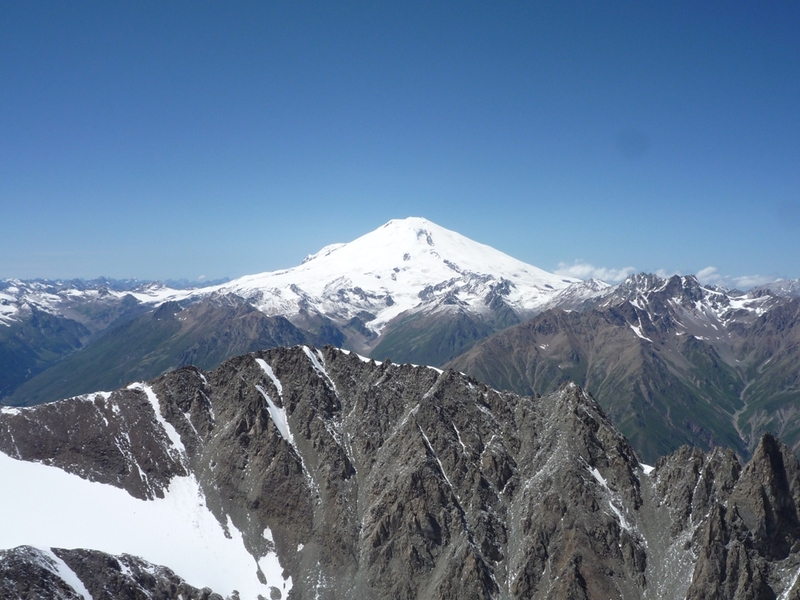 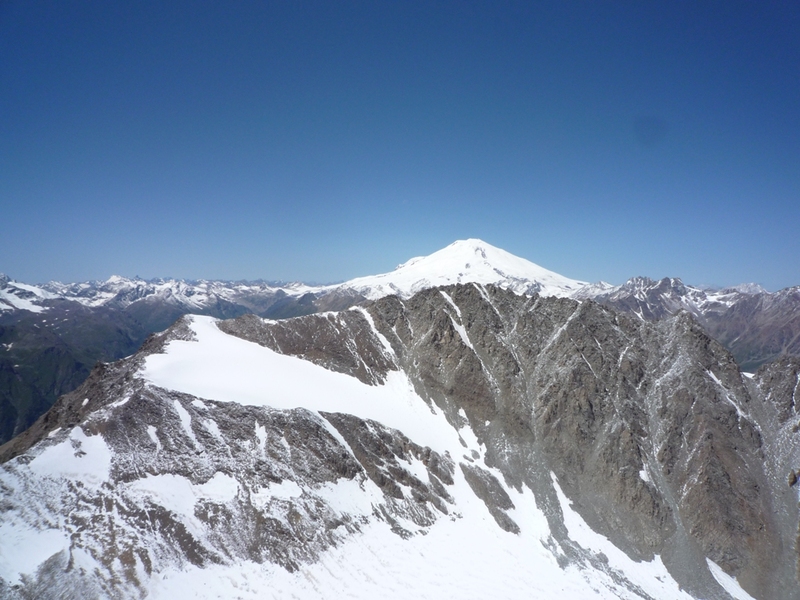 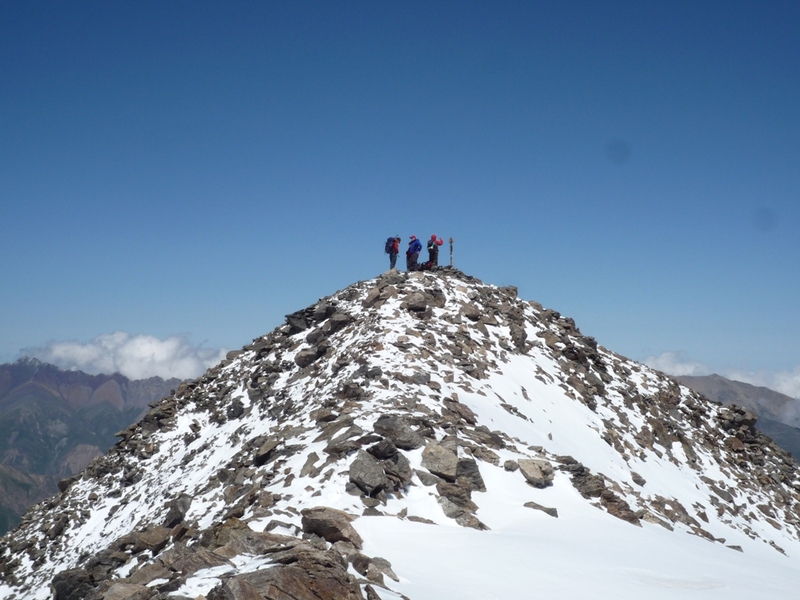 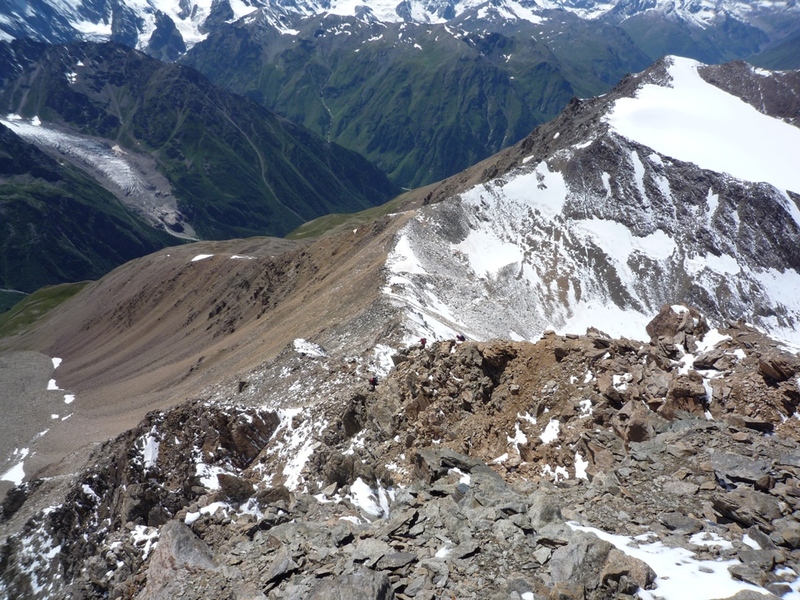 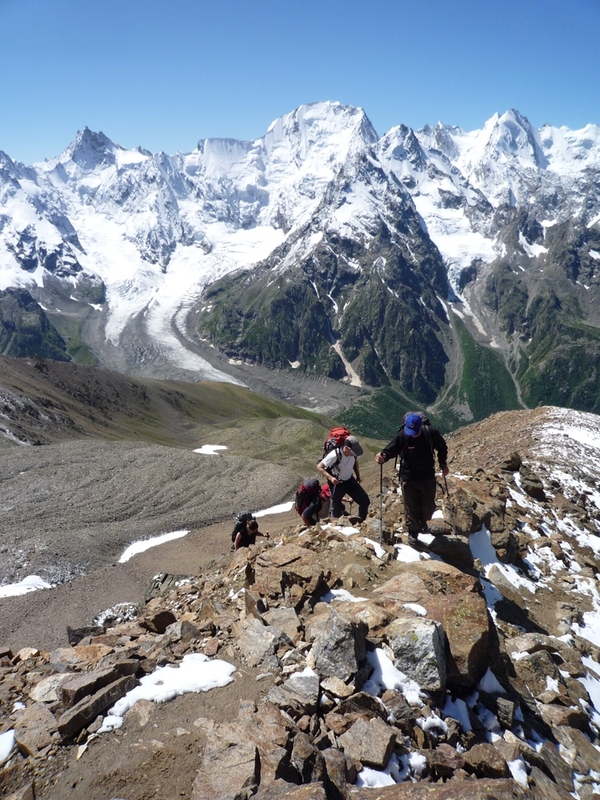 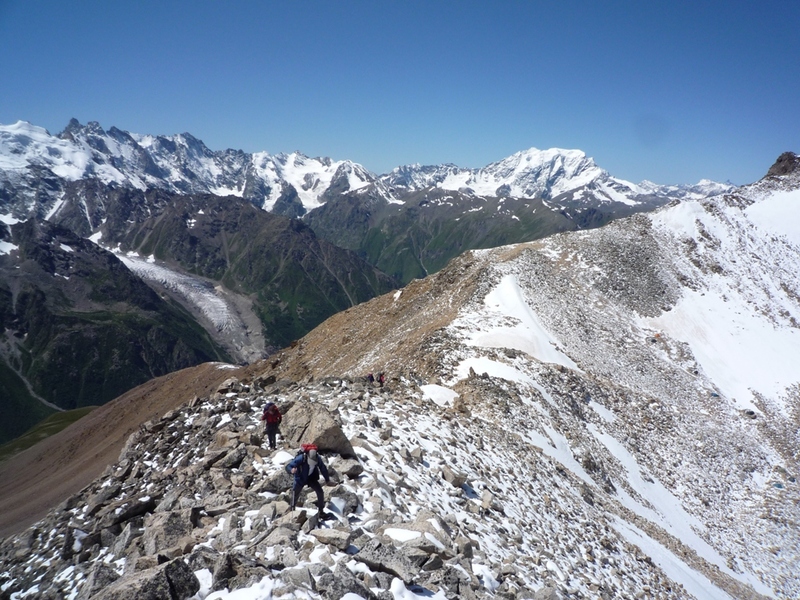 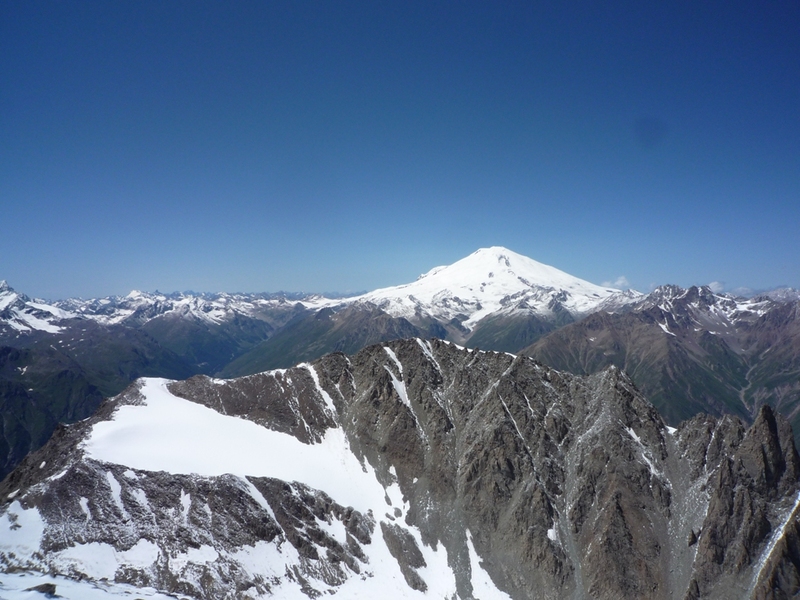 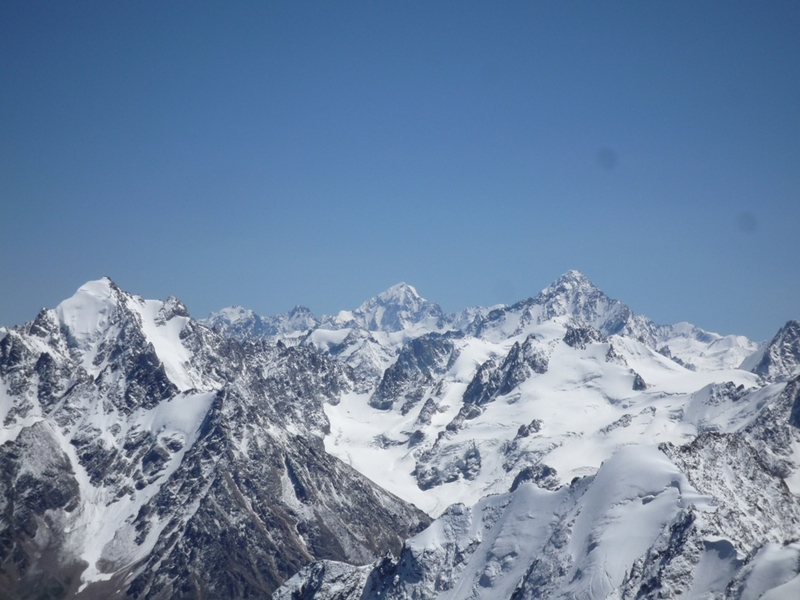 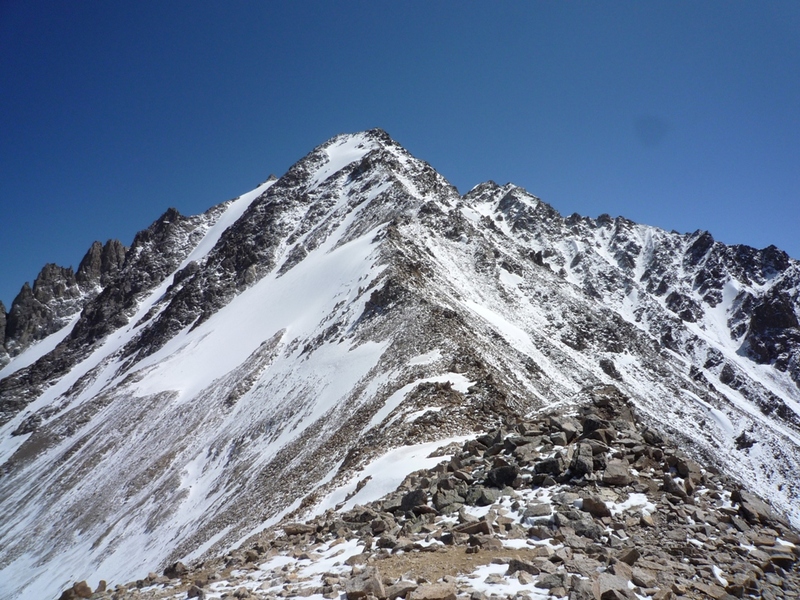 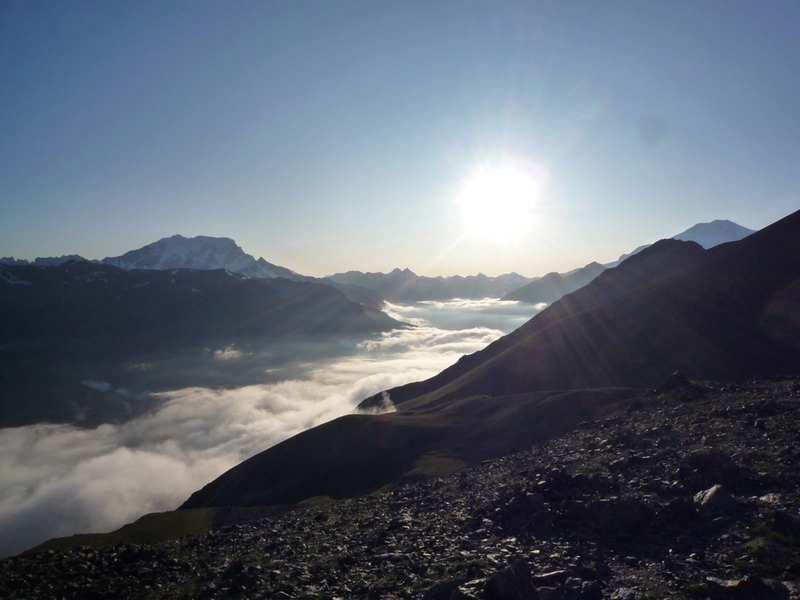 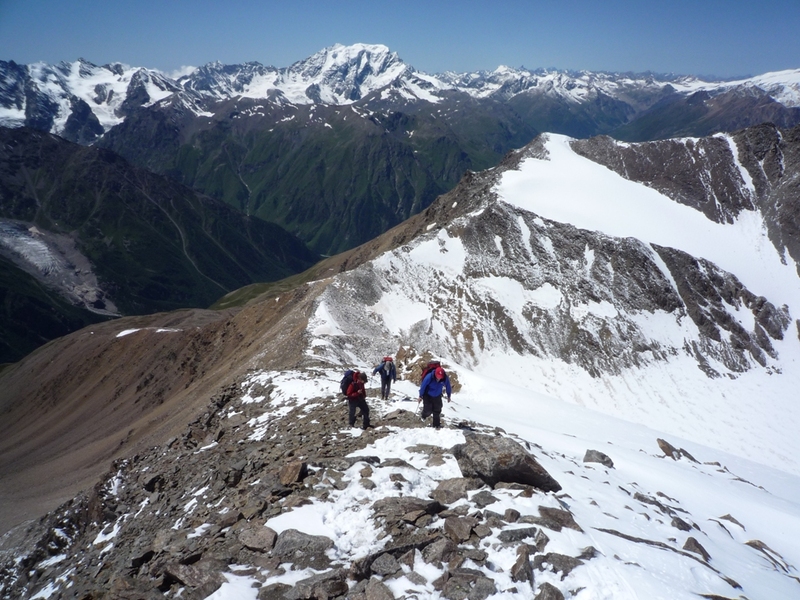 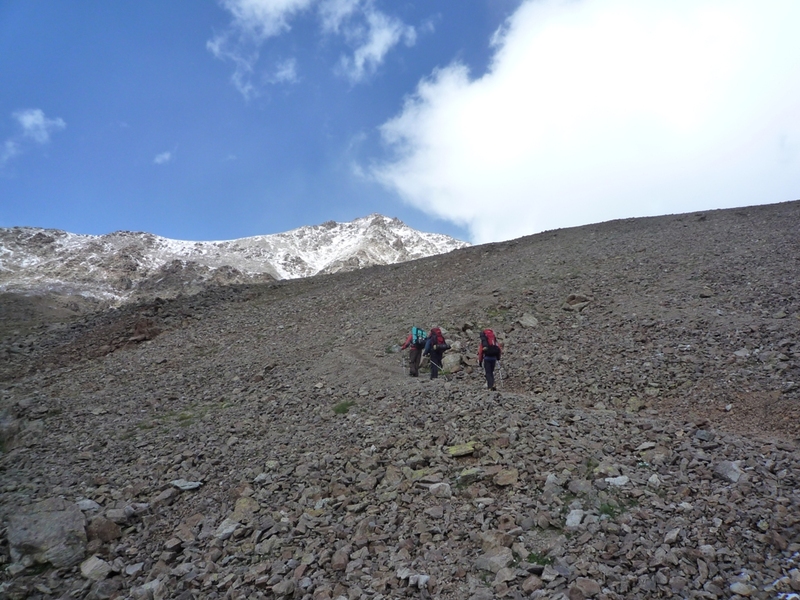 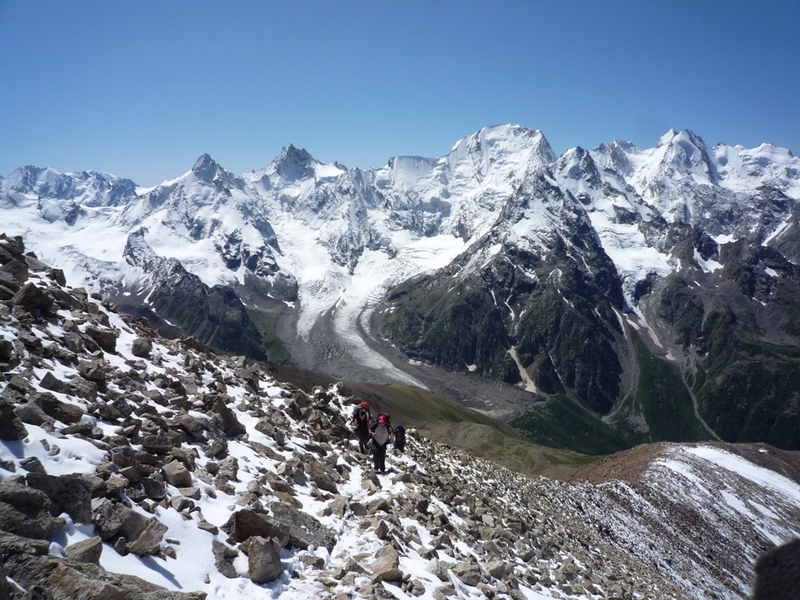 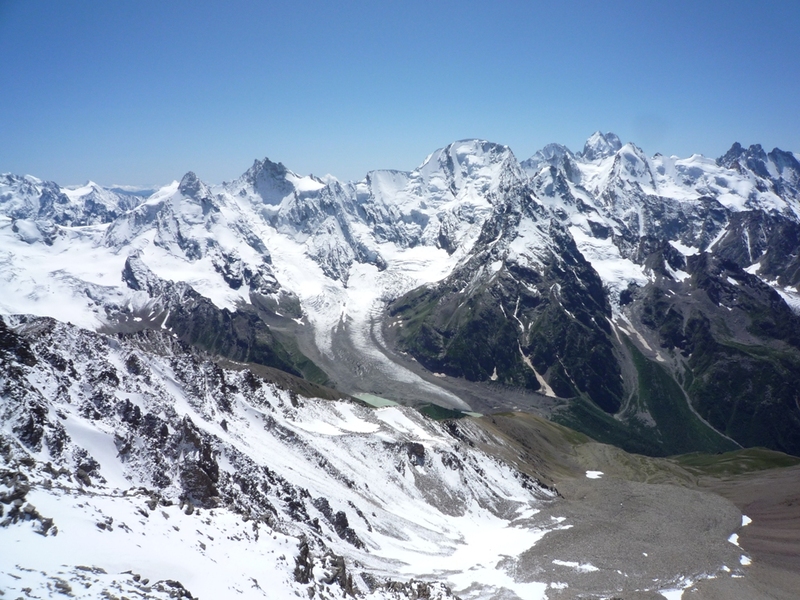 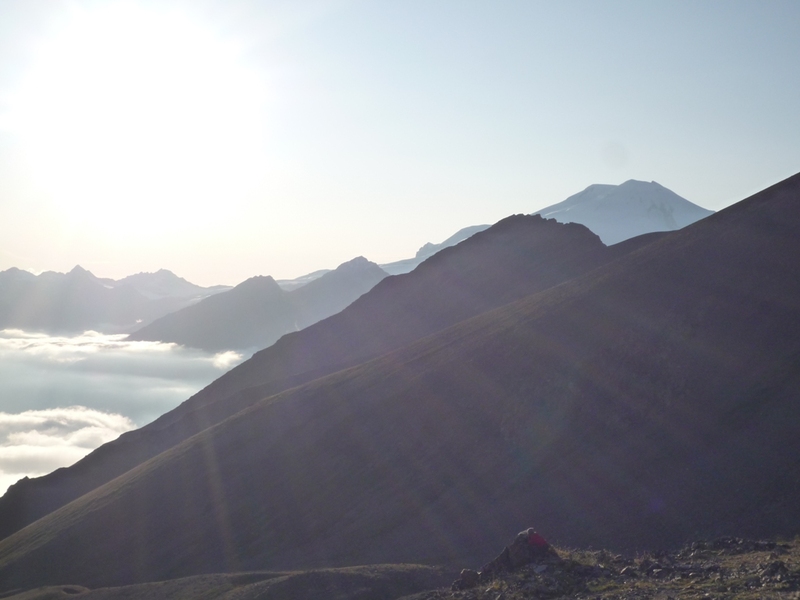 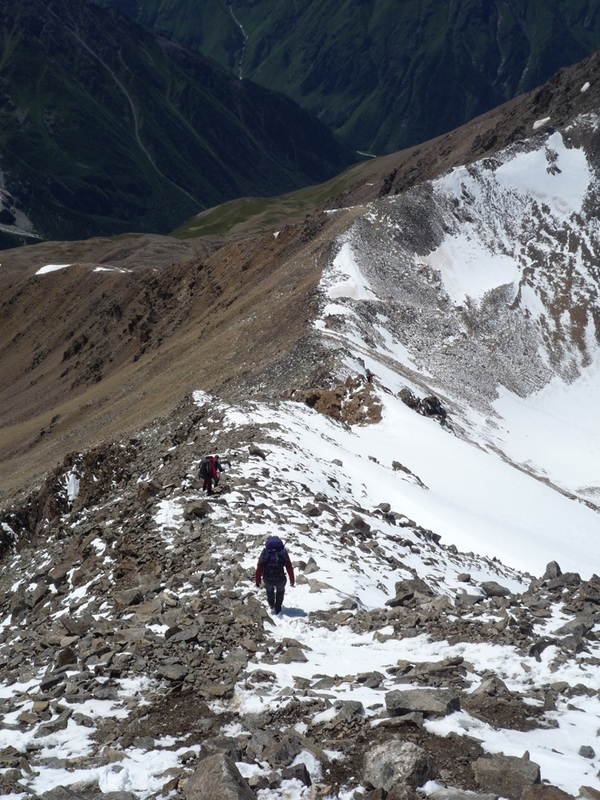 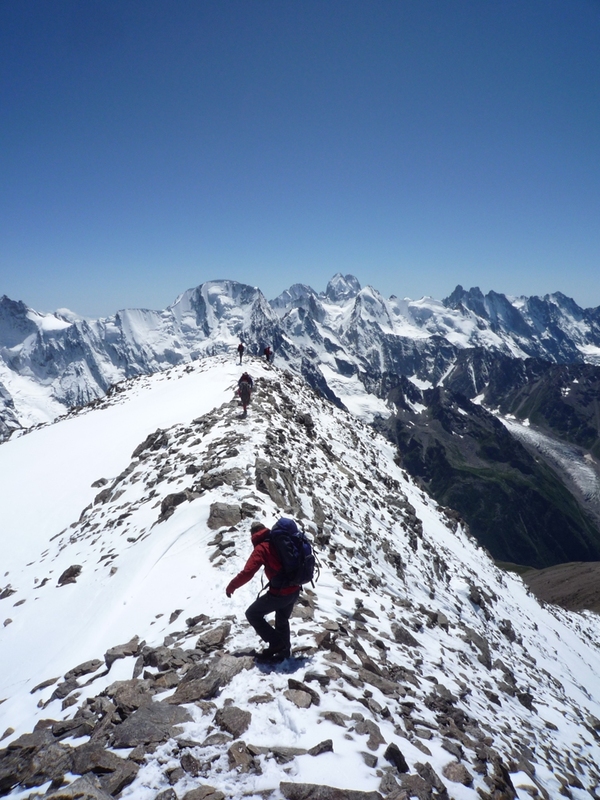 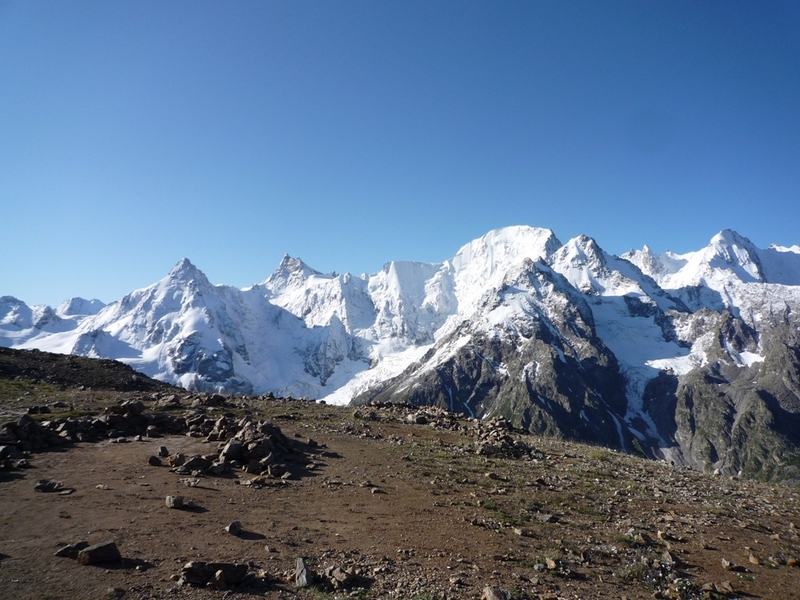 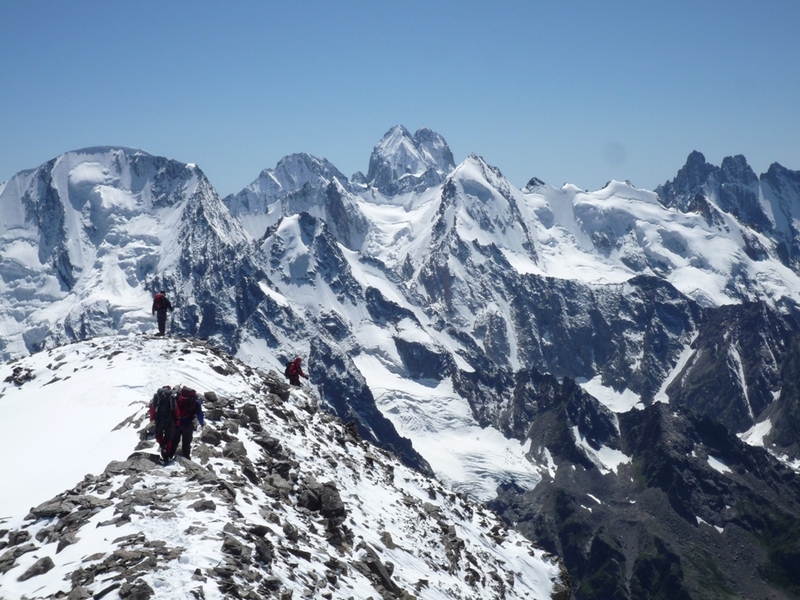 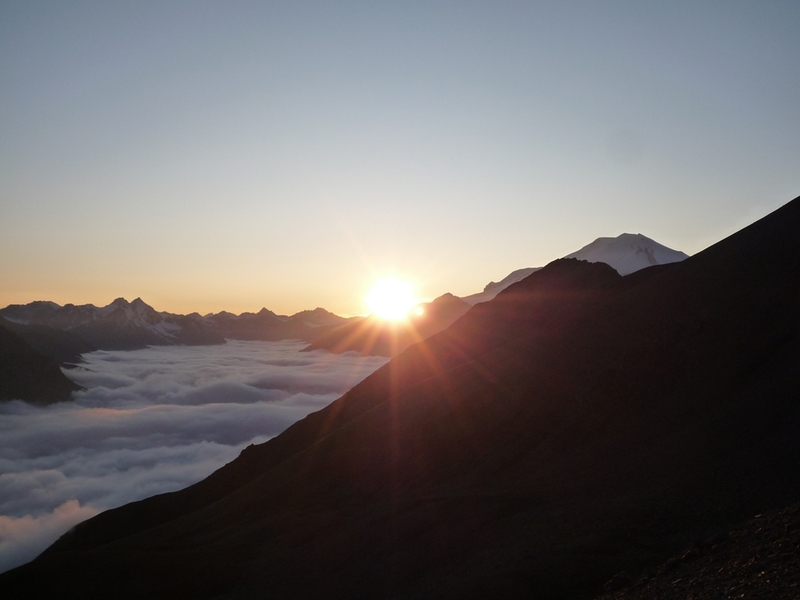 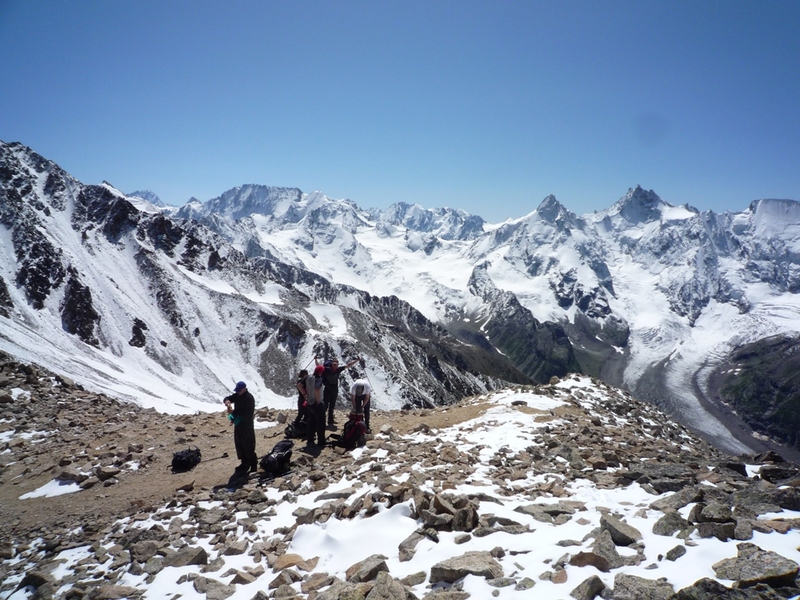 Ushba peak (4,700 meters), one of the most taxing ascents in the Caucasus, is highly popular with mountaineers. 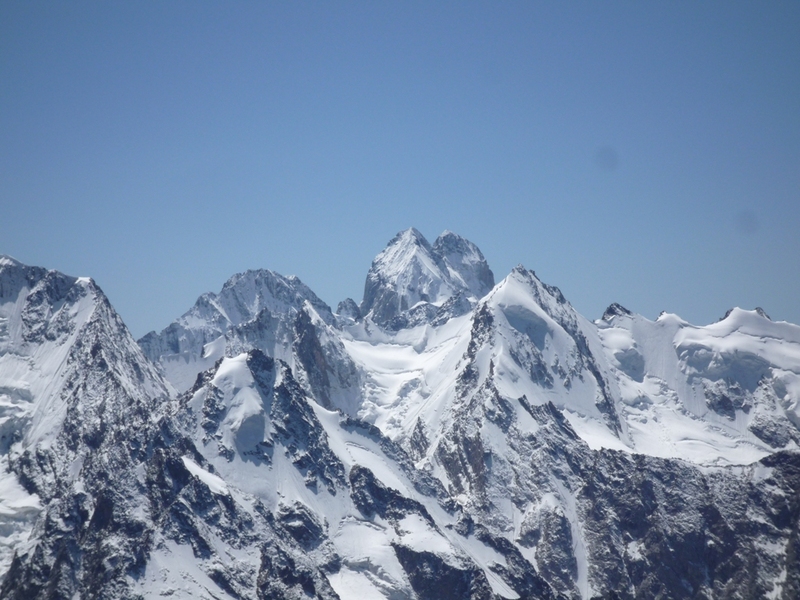 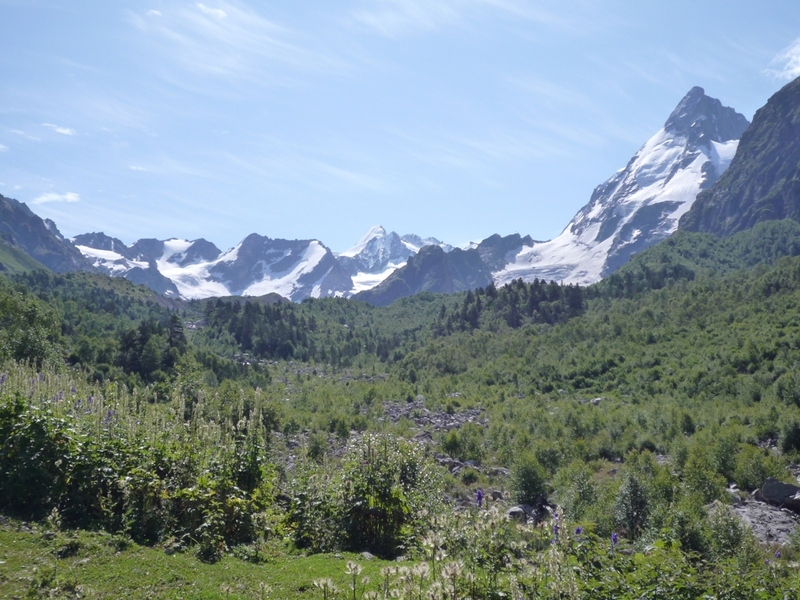 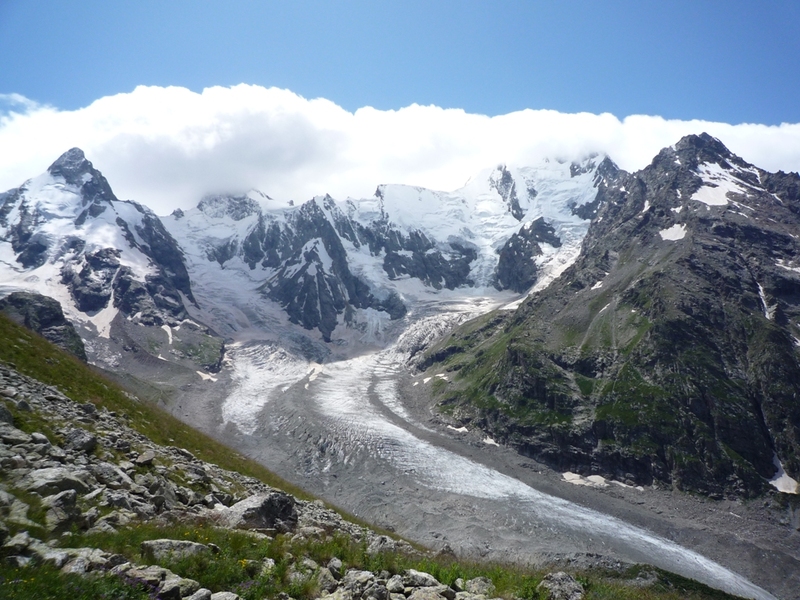 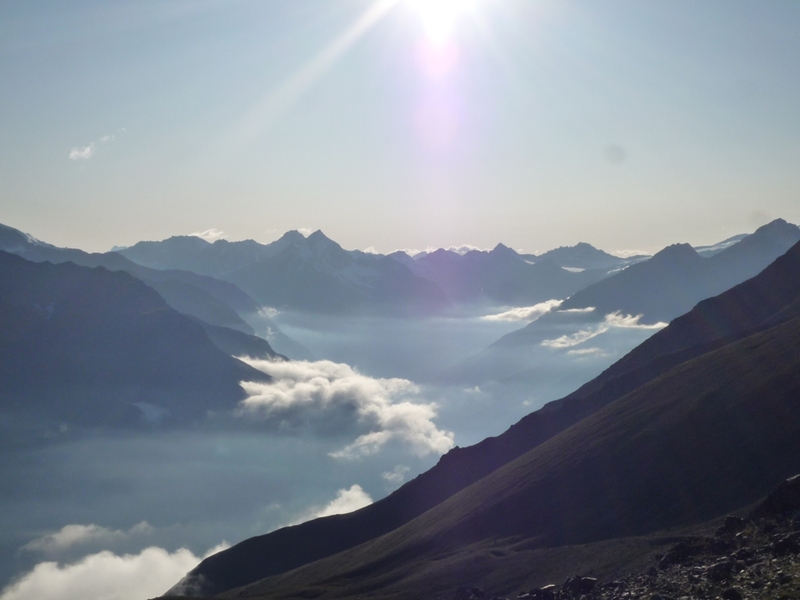 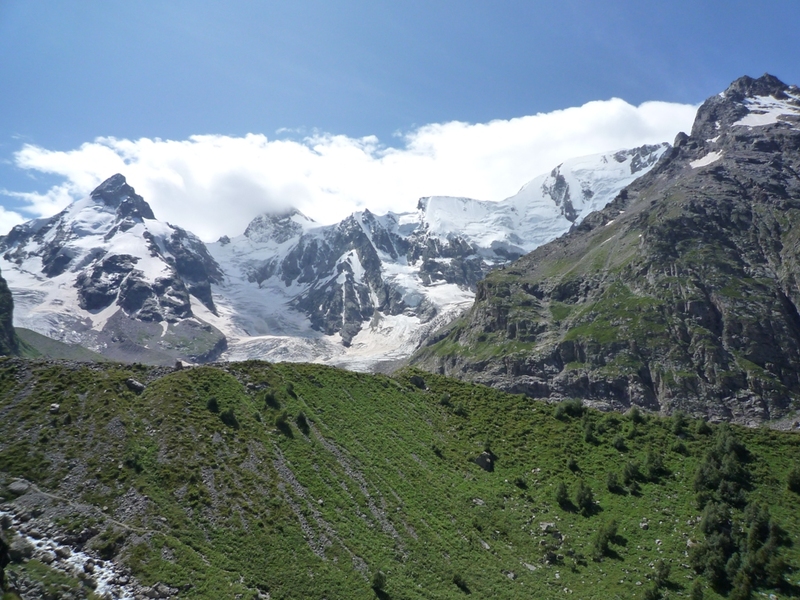 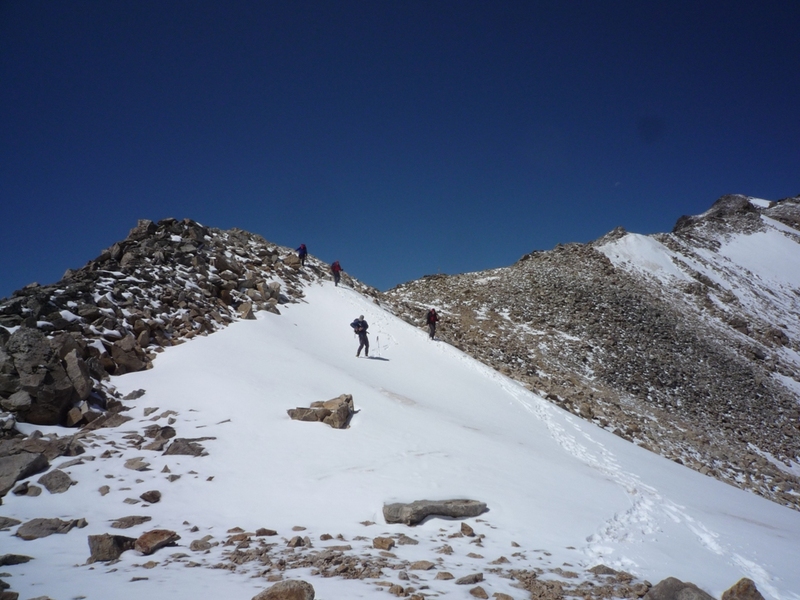 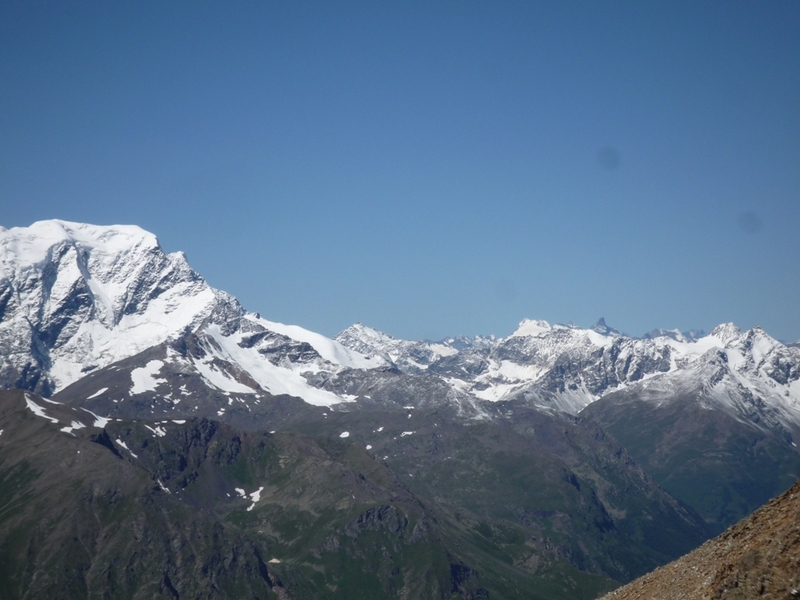 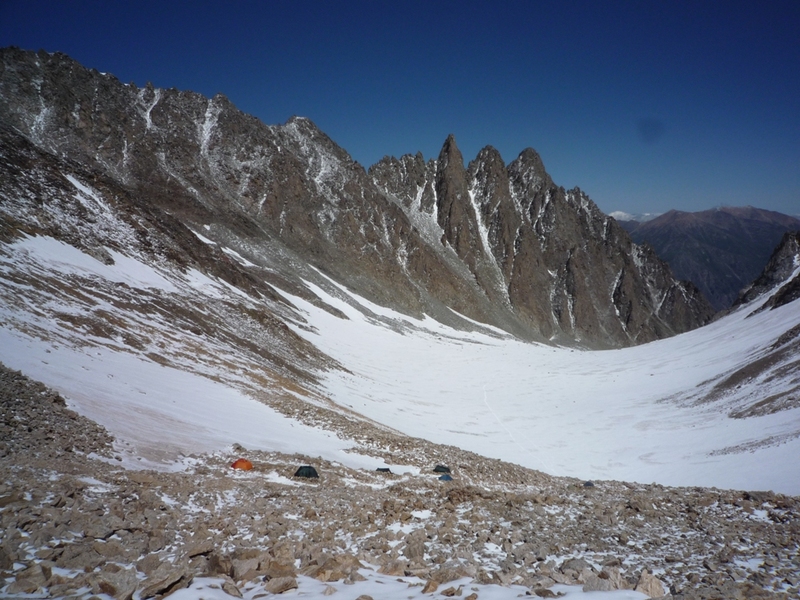 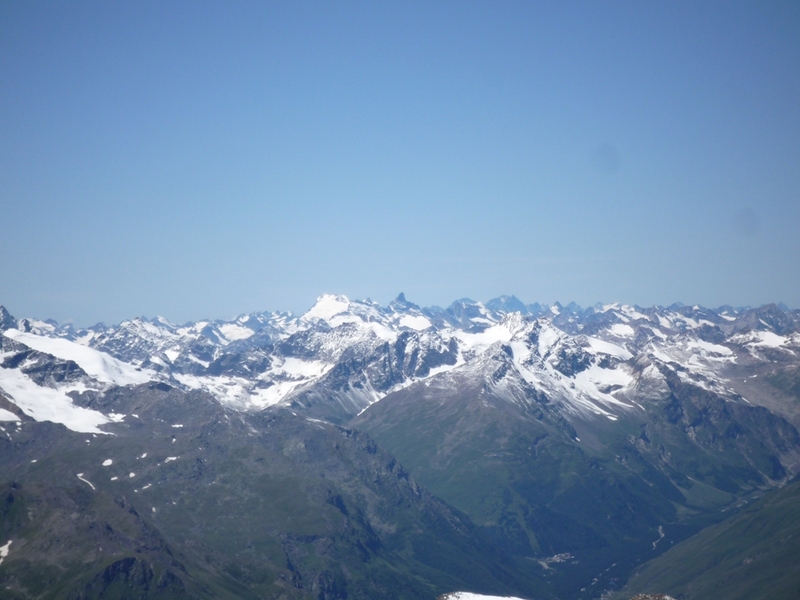 There are several alpine camps here; in the many years since they were set up, thousands of young men and women have got there first lessons in climbing there, and advanced climbers, instructors, and rescue workers have had their training. 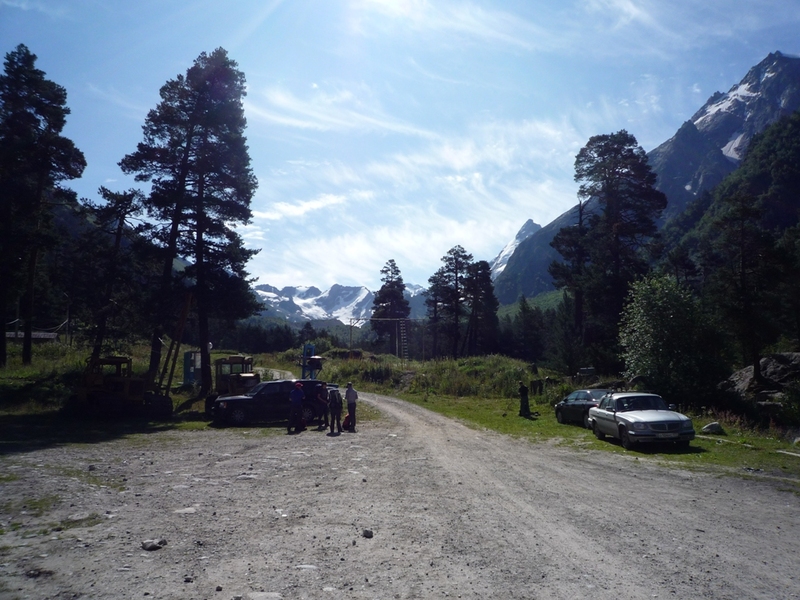 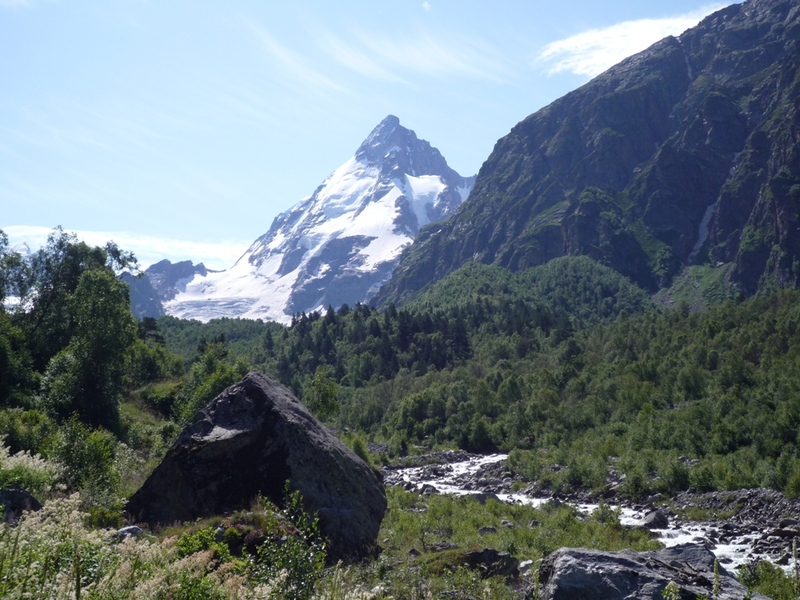 More than 60 years ago a sport camp was functioning in the Adyl-su Gorge, on the right bank of the river across the way from Kashkatash glacier. 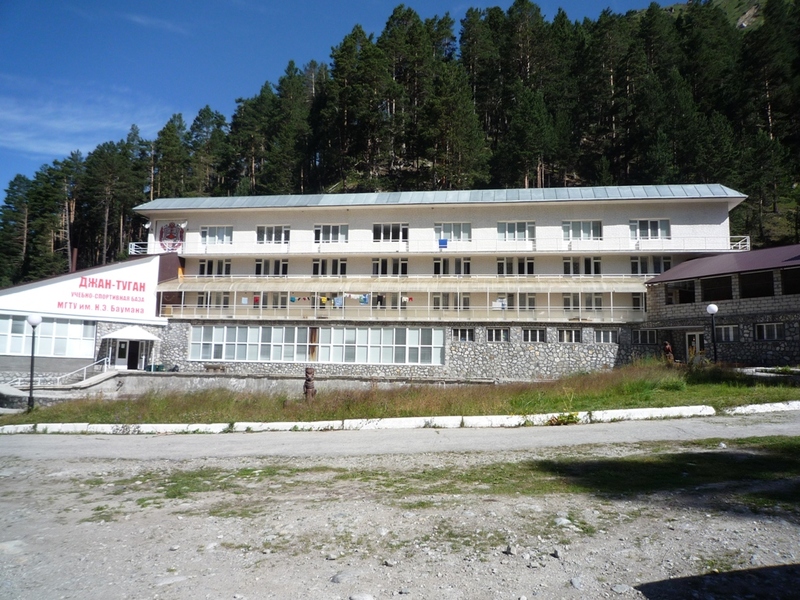 In 1936 a school of instructors in mountaineering was set up here. 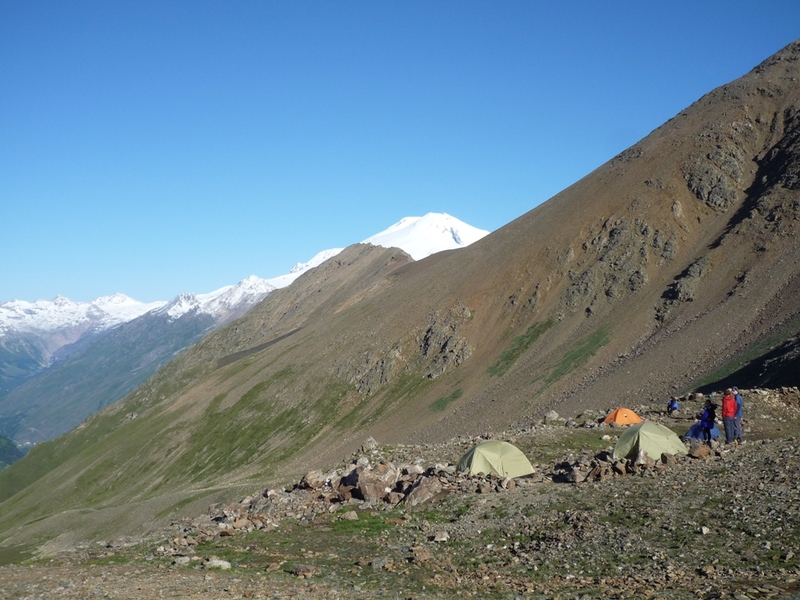 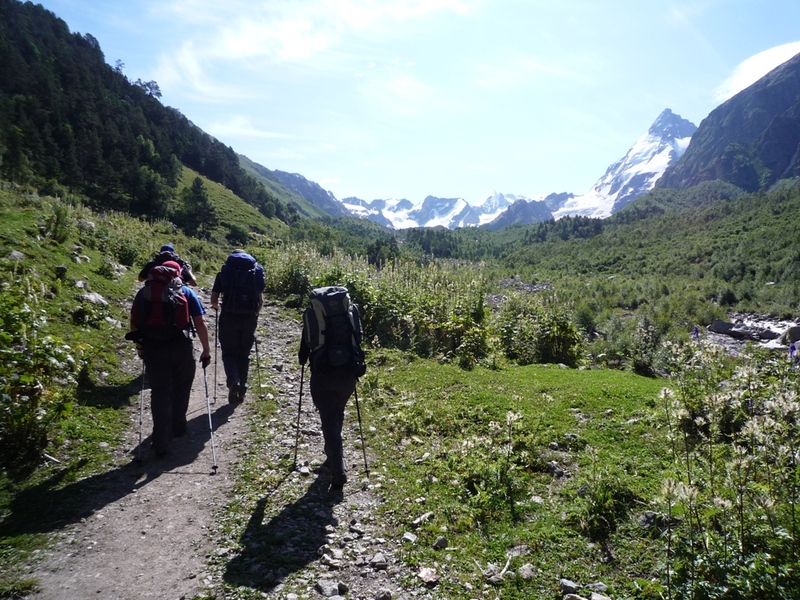 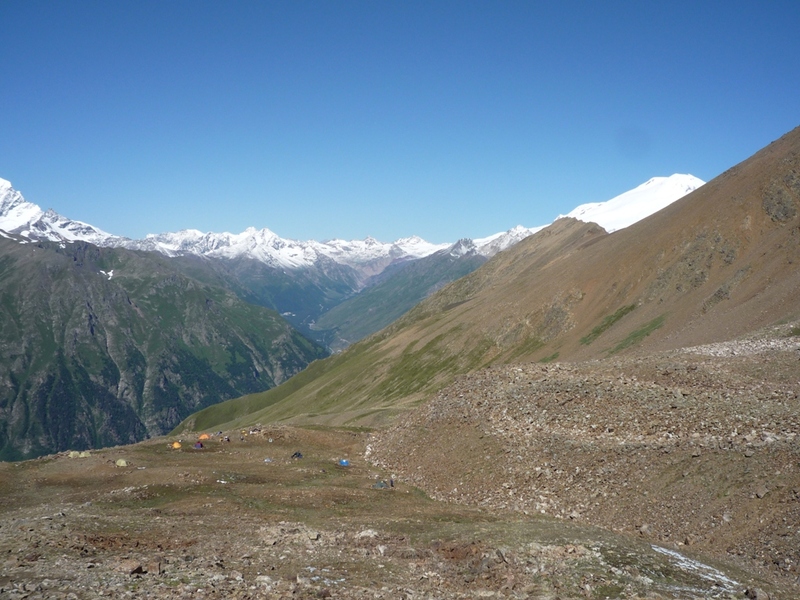 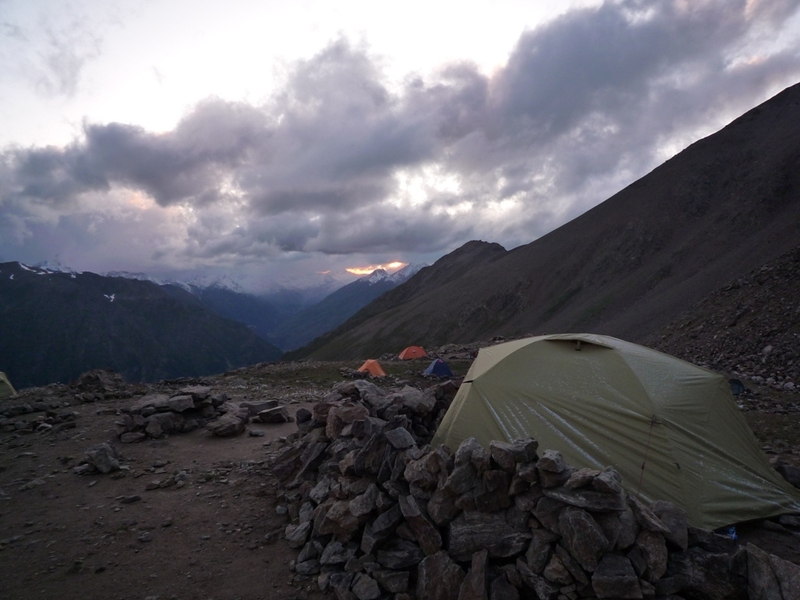 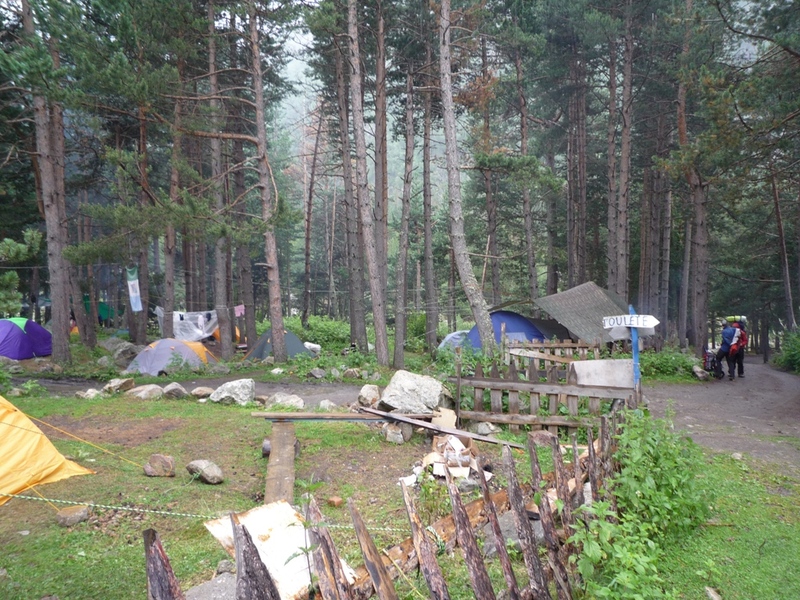 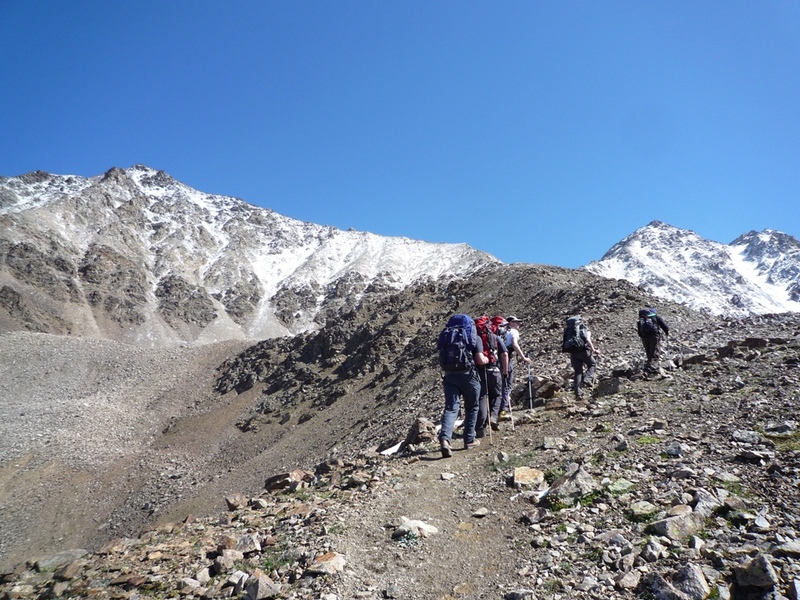 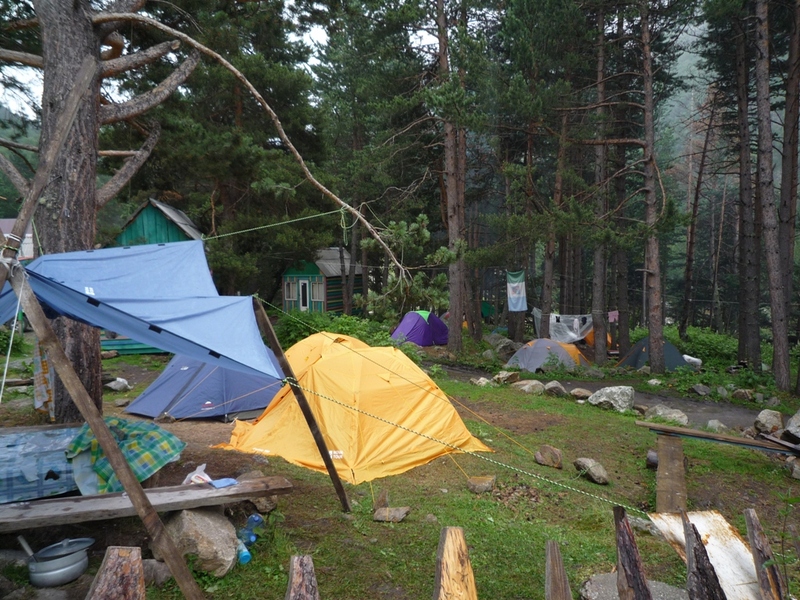 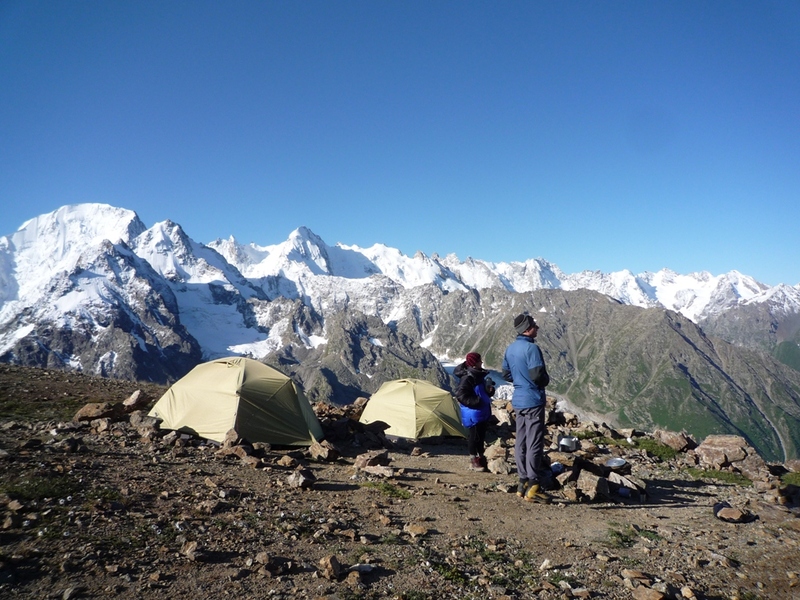 One of the best alpine camps – Shkhelda, stands by the confluence of the rivers Adyl-su and the Shkhelda. 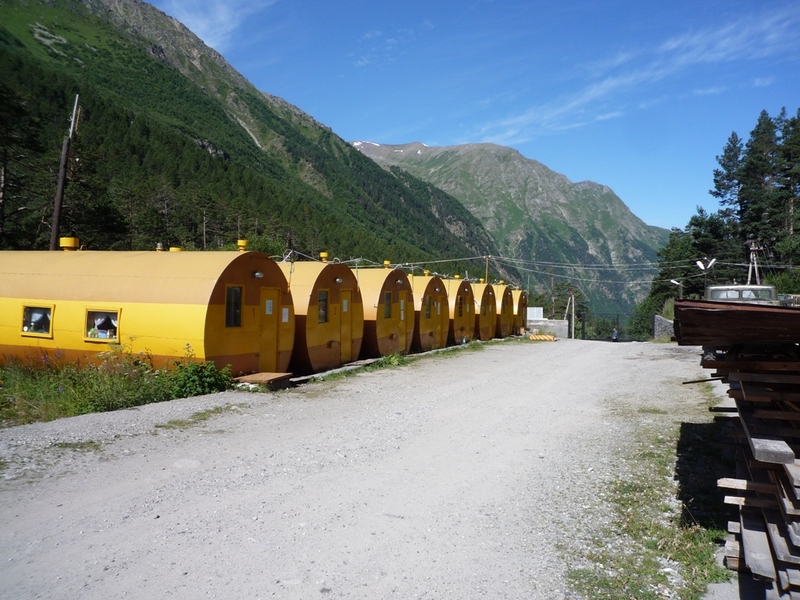 It started as a little tent settlement; after the war it became a well equipped centre with every amenity. 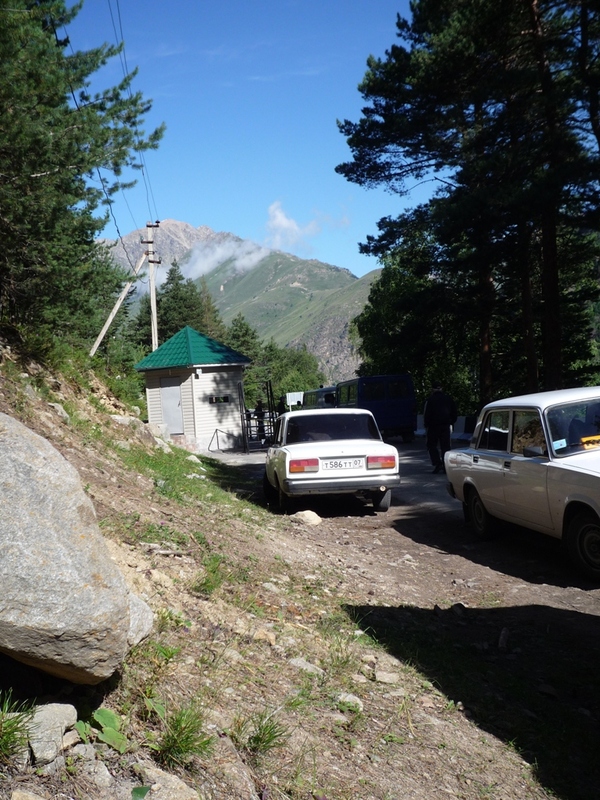 Here too, is the supervision and rescue station for the whole region. 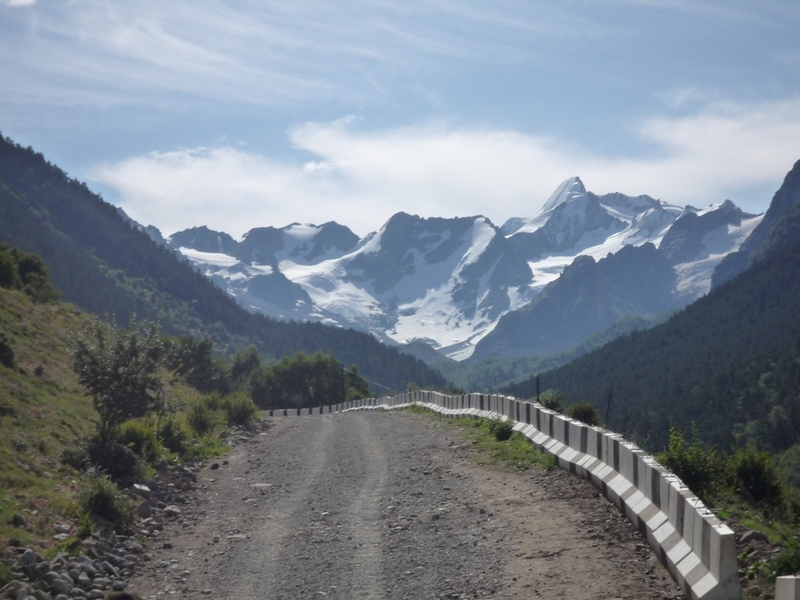 There is a broad highway running along the gorge, linking all the camps and ending not far from the point where a new sport complex is being built for students.